Alabama State University (Montgomery). Alabama State University is proud to offer extensive individualized attention to his music majors. Its world-class faculty is deeply involved in helping students in every aspect of their musical and academic journey. Performing opportunities are available from freshman status. Our full-time faculty-student ratio is one of the smallest in Alabama. Contact: Carly Johnson, 915 S. Jackson, 334-229-4341, [email protected] Deadline: 8/1 Tu­ition: $19,000. Undergraduate degrees: 1,2. Graduate degree: 2. 120 music majors, 20 graduate students, 20 faculty, 5,500 total enrollment. 3 bands, 2 jazz bands, 4 chor. Auburn University (Auburn). The Auburn University Department of Music dedicates itself to providing opportunities for musically talented students to develop as music educators, performers, composers, and research scholars. Ensembles as well as core courses in the appreciation of music disseminate general musical culture among all university students regardless of major. Contact: Richard Good, 101 Goodwin Hall, 334-844-4166, fax: 334.844.3168, [email protected] Un­der­graduate degrees: 1,2. 115 music majors, 32 undergraduate faculty, 27,000 total enrollment. Grad­uate degrees: 2. 30 graduate students, 32 graduate faculty. 4 bands, 2 jazz band, 1 orch., 7 chor. Jacksonville State University (Jacksonville). A comprehensive program at a regional university stressing excellence in performance studies, academic achievement, and professional preparation. Contact: Andrew Green, 700 Pelham Road North, 256-782-5559, [email protected] Undergraduate Tuition: Fall: $324/cr. res., $648/cr. non-res. Degrees: 1,2. Graduate tuition: $382/cr. res., $764/cr. Degrees: 1,2. 250 music majors, 26 music faculty, 9,600 total enrollment. 3 bands, 4 jazz bands, 1 orch., 5 chor. University of South Alabama (Mobile). The department of music, which is housed in a college of arts and sciences in a state-supported university, through its innovative curriculum and standards of excellence empowers professional musicians, music educators, or those who wish to enrich their lives through the arts. Contact: Kip Franklin, LPAC 1072, 5751 USA Drive S., 251-414-8222, [email protected] Undergraduate deadline: 7/15 res., 6/15 non-res. Under­grad­uate tui­tion: $329/cr. hr. res., $658/cr. hr. non-res. Under­grad. degrees: 1,2,11. 125 music ma­jors, 34 faculty, 16,000 total enrollment. Grad. tuition: $442/cr. hr. res., $884/cr. hr. non-res. Grad. degrees: 1,2. 10 grad. students, 15 grad. music faculty. 4 bands, 1 jazz bands, 1 orch., 2 chor. University of Alaska (Anchorage). Mountains and Music! UAA is located in spectacular Anchorage, Alaska, a cosmopolitan city of 300,000 with a vibrant state, national, and international arts scene. The Department of Music offers BA, BM Performance and an innovative Emphasis in Music Education degree that is followed by a one-year MAT/certification program. Contact: Anna Owens, 3211 Providence Drive, 970-786-1575, [email protected] .edu. Deadline: 7/15. Tuition: $212/cr. res., $751/cr. non-res. Degrees: BA, BM Performance, BM Education. 80 music majors, 11 music faculty, 17,890 total enrollment. 3 band, 1 jazz band, 1 orch., 1 chor. University of Alaska (Fairbanks). The nation’s Arctic University offers unique opportunities to students of music. If you are seeking small class sizes, renowned faculty, amazing touring opportunities, and the chance to perform in the premier concert hall in Alaska, and fantastic outdoor adventures, you will find it all at the University of Alaska Fairbanks. Contact: Libby Eddy, 102 Signers Hall, 800-478-1823, fax: 907.474.7079, [email protected] Deadline: 6/15, auditions earlier. Undergraduate tuition: $8,476 res., $16,891 non-res. Undergraduate degrees: 1,2. Graduate deadline: 6/1. Graduate tuition: $9,604 res., $14,653 non res. Grad. degrees: MM. 44 music majors, 7 grad. students, 9 faculty. 1 band, 1 jazz band, 2 orch., 2 chor. Arizona State University School of Music (Tempe). The School of Music at ASU is one of the top state institutions nationwide for the study of music. Innovative and collaborative programs are led by nationally and internationally recognized faculty artists and scholars, who work with students to cultivate excellence, personal growth, and a commitment to making contributions to the field of music. Each year, more than 700 concerts and recitals are offered on campus, in addition to extensive partnerships with local organizations. These experiences allow students to learn invaluable performance skills, while encouraging them to become creative leaders who are involved in their communities. Contact: Julie Stephens, PO Box 870405, Tempe, 480-965-5069, fax 480.727.6544, [email protected] Undergraduate deadline: 1/1. Under­graduate tui­tion: $10,552 res., $28,336 non-­res. Under­grad­uate de­grees: 1-5,8,9,12. Grad­uate dead­­­line: 1/1. Graduate tuition: $11,864 res., $23,372 non-res. Graduate degrees: 1-8,12. 789 music majors, 368 graduate students, 76 faculty, 5,840 total enrollment. 6 bands, 4 jazz bands, 4 orch., 7 chor. Henderson State University (Arka­delphia). Noted for a long tradition of excellence and commitment to the success of each student, the Henderson State University Department of Music is re­spected throughout the region for the strength of its faculty and performing ensembles. Henderson State University music graduates enjoy great success as educators and performers. Contact: Steven Knight, 1100 Henderson St., Box 7623, 870-230-5054, [email protected] Dead­line: 2/1. Tuition: $8,530 res., $10,180 non-res. Degrees: 1,2; BA in Music. 110 music majors, 19 music faculty. 5 bands, 1 jazz band, 1 orch., 2 chor. Ouachita Baptist University (Arkadel­phia). The Division of Music seeks to provide opportunities for students to gain professional competence in the art of music, integrating the highest standards of musical performance with a broad-based curriculum of scholarly studies within the framework of a strong Christian liberal arts tradition. Contact: Lori Motl, 410 Oua­chi­ta St., 870-245-5100, [email protected] Tu­ition: $34,670. Degrees: 1,2,7,11,12. 115 music ma­jors, 27 faculty, 1,500 total enrollment 3 bands, 1 jazz band, 4 chor. University of Central Arkansas (Con­way). UCA Music combines a high-quality, comprehensive program with a talented, people-oriented faculty. The department boasts one of the strongest faculties in the mid-South and strong programs in music education, band, choir, symphony, piano, and jazz. Contact: Carol Ebinger, 201 Don­aghey Ave., 501-450-3163, fax: 501.450.5773, [email protected] Dead­line: roll­ing. Tuition: $411.64/cr.. De­grees: 1,2,4. Grad­uate deadline: 4/15. Tui­tion: $460.76/cr. Degrees: 1-4,6. 175 music majors, 30 graduate students, 35 faculty, 12,000 total enrollment. 4 bands, 3 jazz bands, 1 orch., 3 chor. Biola University (La Mirada). Dedicated to quality and providing rigorous undergraduate music education in an atmosphere of Christian community, Biola’s Conservatory of Music builds a foundation for a life-long pursuit of excellence and prepares musicians for teaching, graduate study, performance, ministry in church music, and additional musical careers. Significant scholarships available. Con­tact: Kaitie Krogh, 13800 Biola Avenue, 562-903-4892, [email protected] Deadline 11/15, 1/15. Tuition: $40,488. Degrees: 1,2,4. 178 music majors, 4,225 total enrollment. 1 bands, 1 jazz bands, 1 orch., 5 chor. California State University, Long Beach, Bob Cole Conservatory of Music (Long Beach). Our exceptional ensembles are at the core of student success. Faculty closely monitor students from freshman through master’s degrees. Both the Cole Symphony Orchestra (Spring 2014) and Wind Symphony (Fall 2014) toured South Korea. We present more than 400 concerts each year. Generous scholarships available. Out-of-state tuition waivers available for graduate students. Contact: Carolyn Bremer, 1250 Bellflower Blvd., 562-985-4781, [email protected] Under-graduate deadline: 11/30. Undergraduate degrees: 1,2,4,5,9. Graduate deadline: open. Graduate degrees: 1,2,4-6,9. 450 music majors, 100 graduate students, 100 faculty. 3 bands, 3 jazz bands, 2 orch., 8 chor. California State University, Northridge (Northridge). A comprehensive music program that prepares the graduate for employment upon graduation. Unique Bachelor of Music programs on all instruments as well as Composition and Media Composition. Master’s Degrees in Per­formance as well as conducting. Contact: Steve Thachuk, 18111 Nordhoff St., 818-677-3181, [email protected]­edu. Un­der­graduate deadline: 11/30. Un­der­grad­uate degrees: 1,2,4,8,9,11. Grad­uate deadline: 11/30. Graduate de­grees: 1,4,6,10. 600 music majors, 80 graduate students, 85 faculty, 36,000 total enrollment. 2 bands, 3 jazz bands, 1 orch., 4 chor. Chapman University (Orange). Hall-Musco Conservatory of Music provides aspiring musicians with a rigorous, professional musical training program, coupled with a supportive liberal arts environment, which enriches the human mind and spirit. Our music curriculum prepares students to enter a variety of professional fields after graduation or continue their studies in top graduate programs. Contact: Casey Decker, One University Drive, 714-997-6711, fax: 714.997.6713 [email protected] Deadline: 1/15. Tuition: $26,170 De­grees: 1,2,4,5,6. Graduate deadline: rol­ling. Graduate tuition: $1,655/credit. Grad­uate degrees: MM Keyboard Col­laborative Arts. 245 music majors, 74 faculty, 6,281 total enrollment. 2 bands, 1 jazz band, 1 orch., 3 chor. Colburn School (Los Angeles). Offering full scholarships and grants for tuition, room, and board, Colburn’s world-renowned faculty nurtures classical instrumentalists in a well-rounded curriculum of solo, chamber, and orchestral studies in downtown Los Angeles. Contact: Lauren Woodward, 200 S. Grand Ave., 213-621-4534, [email protected] Dead­line: 1/8. Degrees: 1. 60 music majors, 60 graduate students, 40 faculty. 1 orch. Pepperdine University (Malibu). With its beautiful campus overlooking the Pacific Ocean, Pepperdine offers exciting performance possibilities and the opportunity to study with world renowned musicians at an academically top ranked liberal arts university. Scholarship support is available for eligible undergraduate majors as well as for non-majors interested in performing in University ensembles. Contact: Morgan Jefferson, 24255 Pacific Coast Highway, 310-506-4111, fax: 310.506.4077, [email protected] Deadline: 2/1. Tuition: $38,034. Degrees: 1,2,4. 80 music majors, 45 faculty, 3,100 total enrollment. 1 band, 1 jazz band, 1 orch., 2 chor. San Francisco Conservatory of Music (San Francisco). The San Francisco Conser­vatory of Music educates exceptionally talented musicians from around the world to become artists of the highest caliber, as well as musical citizens prepared for the challenges of the 21st century. Contact: Lisa Nickels, 50 Oak Street, 800-899-SFCM, [email protected] Deadline: 12/1. Undergraduate tuition: $45,000. Undergraduate de­grees: 1, 4, 9, 11, 13. Grad­uate deadline: 12/1. Graduate tuition: $45,000. Graduate degrees: 1, 4, 6, 11, 13. 414 students, 153 faculty. 1 jazz band, 1 orch., 2 chor. Sonoma State University (Rohnert Park). One of the most requested campuses in the CSU system, the Sonoma State University Department of Music provides a rigorous training on an idyllic 269-acre campus with two world-class concert halls. Strong programs in jazz, music education and performance, with ensemble opportunities in orchestra, chorus, wind ensemble and music theatre. Contact: Brian Wilson, 1801 E. Cotati Avenue, 707-664-2324, [email protected] Deadline: 11/30. Tuition w/ fees: $7,388 res., addl. $396 per unit non-res. Degrees: 1,2,9, certificate in recording production. 110 music majors, 25 faculty, 9,300 total enrollment. 3 bands, 4 jazz bands, 1 orch., 2 chor. University of California, Los Angeles, The Herb Alpert School of Music (Los Angeles). The UCLA Herb Alpert School of Music offers performance, scholarship, and innovation, all in one place. Combining outstanding departments of Ethnomusicology, Music, and Musicology, we provide academic opportunities that balance cutting-edge scholarship with performance mastery and composition. Students are encouraged to explore music in all its contemporary and historical diversity. Contact: Zoe Ashmead, 445 Charles E. Young Drive East, 2520 Schoenberg Music Building, 310-825-6457, [email protected] Deadline: 11/30. Tuition: $13,225 res., $42,217 non-res. Degrees: 1,2,4,5,9, world music. Grad. deadline: 12/1. Grad. tuition: $16,847 res., $31,949 non-res. Graduate degrees: 1,4,5,6,9, ethnomusicology. 318 music majors, 166 grad students, 123 faculty, 30,870 total enrollment. 4 bands, 10 jazz bands, 2 orch., 3 chor. University of the Pacific, Conservatory of Music (Stockton). The Conservatory of Music has been recognized as one of the top music schools for over 135 years. It is large enough to offer a variety of excellent educational opportunities yet small enough that each student receives a high degree of personal attention. Contact: Jennifer Goodwin, 3601 Pacific Ave., 209-946-2418, [email protected] Undergraduate deadline: 1/15. Undergraduate tuition: $23,740. Undergraduate degrees: 1,2,4,5,8,9,11. Graduate deadline: 3/1. Graduate tuition: $23,740. Degrees: 2,8. 215 music majors, 20 graduate students, 59 faculty, 4,000 total undergraduate enrollment. 2 bands, 1 jazz band, 1 orch., 3 chor. University of Redlands (Redlands) is a private liberal arts university offering a conservatory approach in a liberal arts setting. Performance opportunities abound with more than 200 performances annually. Wheth­­­er music is your major or you just have an interest in music, everyone is encouraged to participate in the rich, musical environment on campus. Contact: Brad An­drews, 1200 E. Colton Ave., 909-748-8014, [email protected] Undergraduate dead­line: 1/15. Undergraduate tuition: $49,154. Undergraduate degrees: 1,2,4,9. Graduate deadline: rolling. Graduate tuition: $17,104. Graduate de­grees: 1,4,6, vocal chamber music, artist diploma. 135 music majors, 32 graduate students, 42 faculty, 2,400 total enrollment. 2 bands, 2 jazz bands, 1 orch., 3 chor. University of Colorado (Boulder). We are most well known for our classically trained musicians and educators. Our unique strengths lie in the Entrepreneurship Center, Musicians’ Wellness Program, and Study Abroad opportunities. Contact: Veronica Greuel, 301 UCB, 303-492-8468, [email protected] Under­grad­uate deadline: 2/1. Under­grad­uate tuition: $12,892 res., $37,662 non-res. Under­grad­uate de­grees: 1-5,9. Graduate dead­line: 12/1. Graduate tuition: $5,742 res., $15,363 non-res. Graduate degrees: 1-6,9,10. 300 music majors, 250 grad. students, 90 faculty. Multiple bands, jazz bands, orchestras, and choirs. University of Connecticut (Storrs), a Research I institution with a world-class music faculty, offers a combination of strong academics and artistic excellence. Our approach allows students to pursue degrees in performance, composition, history, jazz, and theory – and, if desired, to combine those pursuits with another of UConn’s 115 majors. Contact: Elizabeth Foody, 1295 Storrs Road, Unit 1128, 860-486-2678, [email protected] Deadline: 1/15. Tuition: $11,998 res., $34,066 non-res. Degrees: 1-5,9. Graduate deadline: 2/15. Graduate tuition: $7,675 res., $18,481 non-res. Graduate de­grees: 1,3,5,7. 150 music majors, 35 graduate students, 45 faculty, 23,845 total enrollment. 3 bands, 2 jazz bands, 1 orch., 8 chor. University of Hartford, The Hartt School (West Hartford). Hartt students collaborate, often across disciplines. They work with guest artists, take advantage of professional partnerships-in-training, in­tern, and enjoy opportunities to perform around the world and alongside an esteemed faculty. With more than 400 performances a year, The Hartt School is Connecticut’s leading producer of the performing arts. Contact: Megan Abernathy, 200 Bloomfield Avenue, 860-768-4465, [email protected] Under­­grad­uate dead­line: 2/15. Under­­grad­uate tuition: $53,170. Under­­grad­uate degrees: 1-5,9-10,12-13, BSE Acoustics and Music. Grad­uate dead­line: 2/15. Grad. tuition varies by degree. Grad. degrees: 1-6, MM-Suzuki Pedagogy. 310 music majors, 130 grad. students, 103 faculty, 5,350 total enrollment. 3 bands, 10 jazz bands, 2 orch., 5 chor. University of Delaware (Newark). The University of Delaware Department of Music offers Bachelor of Music and Bachel­or of Arts Undergraduate and Master of Music degrees as well as music opportunities for nonmajors. The Department of Music is focused on producing highly trained classical musicians intent on pursuing vocational performance, graduate study (in performance, composition, theory, musicology, and/or music education), and music management and business, as well as music educators (including public school teaching certification for band, orchestra, chorus, and general music, grades K-12). Contact: Elianna Wydra, 100 Or­chard Road, 302-831-8426, fax: 302.831.2578, [email protected] Undergrad. deadline: 1/15. Tuition: $12,250 res., $32,880 non-res. Deg: 1-5,10. Grad. deadline: 1/15. Grad. tui­tion: $1,827/cr. hr. Graduate degrees: 1,2,4,6. 215 music majors, 38 grad. students, 52 faculty, 18,172 total enrollment. 3 bands, 3 jazz bands, 3 orch., 4 chor. Florida Atlantic University (Boca Raton). The FAU Department of Music aims to inspire achievement in music through student engagement in scholarship, diverse modes of creative activity and community outreach. Located on Florida’s Southeast coast, FAU serves over 30,000 students and offers various graduate and undergraduate degrees in music. Contact: Kyle Prescott, 777 Glades Road, 561-297-2944, [email protected] Tuition: $5,432 res., $19,432 non-res. Degrees: 1,2,4,11,13. Graduate tuition: $7,400 res., $20,496 non-res. Graduate degrees: 1,4,6,11,13. 200 music majors, 30,000 total enrollment. 3 bands, 1 jazz band, 1 orch., 4 chor. Florida Southern College (Lakeland). The Department of Music provides a nurturing, yet challenging, learning environment within which talented students are empowered by a dedicated faculty to achieve excellence in academic, intellectual, and creative endeavors. Accredited by NASM, FSC’s music curriculum is innovative, preparing students for a lifetime of opportunities in music. Contact: Paula Parsche, 111 Lake Hollingsworth Drive, 863-680-4233, fax: 863.680.4395, [email protected] Priority dead­line: 5/1. Tuition: $36,348. Degrees: 1,2,11, BA in Music. 117 music majors, 32 faculty, 2,200 total enrollment. 1 band, 1 jazz band, 1 orch., 2 chor. Florida State University (Tallahassee). The FSU College of Music is widely recognized as a top tier university-based music program with a long tradition of excellence. One of the nation’s largest and most comprehensive music institutions, the College features a supportive and demanding educational environment with faculty members who are internationally recognized in their fields. Contact: Kristopher Watson, 850-644-6102, [email protected] Dead­line: 2/7. Tuition: $6,466 res., $21,633 non-res. Degrees: 1-4, 7-9, 11-12. Grad. deadline: 12/1. Tuition: $8,627 res., $19,992 non-res. De­grees: 1-10; MA in Piano Technology, Piano Pedagogy. 700 music majors, 325 grad­. students, 90 faculty, 41,000 total enrollment. 8 bands, 3 jazz bands, 3 orch., 9 chor. This is a Christian liberal arts institution that emphasizes Christian lifestyle within the framework of an inter-denominational, free-church environment. The music department, accredited by NASM, stresses performance and academics with equal importance. The beautiful South Florida campus is located a five-minute walk to the Atlantic Ocean. Contact: Tori Uhlman, P.O. Box 24708, 561-803-2115, fax: 561.803.2424, [email protected] Deadline: 4/1. Tuition: $2,910/cr. Degrees: 1,2,4,5,7,9,11. 100 music majors, 30 faculty, 3,700 total enrollment. 3 bands, 2 jazz bands, 2 orch., 4 chor. An exclusively undergraduate program within an historic comprehensive university, Stetson provides an array of vocal and instrumental ensembles, including opera theatre. Students are preparing for professional careers and graduate study in music, while gaining a commitment to artistic excellence, intellectual curiosity, and professionalism within a values-based atmosphere of challenge and support. Contact: Hannah Austin, 421 N. Woodland Blvd., #8399, 386-822-8975, [email protected] Dead­line: 3/1. Tu­i­tion: $59,082 Degrees: 1-3, 13, Music Business, music with an outside field, BA Music, Music Minor. 200 music majors, 47 faculty, 2,750 total enrollment. 1 band, 1 jazz band, 2 orch., 4 chor. Southeastern University (Lakeland). Our world-class faculty prepares students to use their God-given gifts to inspire others and glorify Christ through music. Faculty members have studied at Juilliard, Eastman, and other renowned programs, and our emphasis on mentoring and practical experience will give you the foundation you need for a successful career. Contact: Abby Jones, 1000 Longfellow Blvd., 800-500-8760, [email protected] Priority deadline: 5/1 2,703 total enrollment. University of Central Florida (Orlando). As part of the nation’s second largest university, UCF Music provides meaningful and diverse experiences in performance, education, composition, scholarly research, and service to the community. The atmosphere is energetic and friendly, and all private lessons are taught by the faculty. Accredited by the NASM. Contact: John Parker, 4000 Central Florida Blvd., 407-823-2869, fax 407-823-3378, [email protected] Under­grad­uate dead­line: 5/1. Undergraduate tuition: $212.28/cr. res., $748.89/cr. non-res. Under­grad­uate degrees: 1,2,4,9,11,12. Graduate deadline: 7/15. Graduate degrees: MA Music. 375 music majors, 30 graduate students, 45 faculty, 64,000 total enrollment. 6 bands, 8 jazz bands, 2 orch., 4 chor. University of Florida (Gainesville). The School of Music serves 100 graduate and 200 undergraduate music majors with 42 full-time. Degree programs include B.A., B.M., M.M., and the Ph.D. (music and music education). All degree programs are accredited by NASM, NCATE, and the SACS. Contact: Mutlu Çitim-Kepic, 435 Newell Dr., Room 106, 352-273-3159, [email protected] Music ed. professors: David Waybright, John (Jay) Watkins, Archie (Chip) Birkner, Raymond Chobaz. Undergraduate deadline: 11/1. Under­graduate tuition: $6,380 res., $28,658 non-res. Undergraduate degrees: 1-5. Grad­uate deadline: 11/1. Graduate tui­tion: $12,740 res., $30,134 non-res. Degrees: 1-7. 200 music majors, 100 graduate students 43 faculty, 52,000 total enrollment. 8 bands, 1 jazz band, 1 orch., 2 chor. University of Miami, Frost School of Music (Coral Gables). The Frost School of Music is one of the best and most innovative music schools in the United States. Located at the University of Miami, Frost houses stunning concert and recital halls, world-class recording studios and labs, and curriculum where students can build themselves into self-assured music professionals. Contact: Amanda Garcia, 5503 San Amaro Drive, 305-284-6168, fax: 305.284.6475, [email protected] Undergraduate dead­line: 12/1 December audition, 12/1 January/February audition. Undergraduate tuition: $48,000. Undergraduate degrees: 1,2,4,8,9,11,13. Graduate deadline: 12/1. Graduate tui­tion: $37,624 (9 cr./semester). Graduate degrees: 1-6,8-11,13. 470 music majors, 240 graduate students, 100 faculty, 10,000 total enrollment. 3 bands, 5+ jazz bands, 3 orch., 4+ chor. University of South Florida (Tampa). Located in a thriving artistic community, the USF School of Music is an exceptional place to further your musical education. The faculty is comprised of actively performing musicians who care deeply about their students and are committed to providing cutting edge opportunities in performance, education, composition, and research. Contact: Jason Bombaugh, 74202 E. Fowler Ave., MUS 101, 813-974-7144, [email protected]. Deadline: 3/3. Tu­i­tion: $6,410 res., $17,324 non-res. Degrees: 1,2,4,9. Graduate deadline: 3/1. Graduate degrees: 1,2,4,6,9. 300 music majors, 100 grad. students, 42 faculty, 50,000 total enroll. 6 bands, 6 jazz band, 1 orch., 3 chor. Augusta University (Augusta) is committed to excellence in teaching, advancement of knowledge, and enrichment of the community in a climate that fosters humane values and a lifelong love of learning. The university offers undergraduate programs in arts, sciences, and professional fields of study as well as selected graduate programs. Contact: Angela Morgan, 1120 15th St., 706-737-1453, [email protected] Dead­line: 7/1. Tuition: $8,604 res., $23,606 non-res. Degrees: 1,2,9. Graduate deadline: 6/2. Tui­tion: $8,604 res., $19,424 non-res. Degrees: Master of Arts in Teaching. 73 music ma­jors, 1 graduate students, 23 faculty, 5,291 total enrollment. 2 bands, 1 jazz band, 1 orch., 1 chor. Columbus State University, Schwob School of Music (Columbus). The Schwob School of Music is one of the leading university-level music programs in the Southeast. The distinguished artist faculty serve an internationally diverse student population in world-class facilities. Centrally located on a vibrant downtown arts campus, students can expect to be nurtured and challenged to meet high expectations. Contact: Debra Tommey, 4225 University Ave., 706-649-7224, [email protected] Dead­line: 4/30. Tuition: $177.67/cr. res., $627.07/cr. non-res. Degrees: 1,2, BA. Grad. deadline: 7/15. Tuition: $206/cr. res., $801/cr. non-res. Deg: 1, artist diploma. 250 music majors, 50 faculty. 2 bands, 2 jazz bands, 1 orch., 2 chor. Georgia State University (Atlanta) offers exceptional performing opportunities, world-class concert spaces, outstanding faculty, advanced technology, excellent library, and research support and a distinctive focus on career development. Contact: 75 Poplar Street, Suite 500, 404-413-5900, fax: 404.413.5910, [email protected] Dead­line: 6/1. Tuition: $5,429 res., $14,716 non-res. Degrees: 1,2,4,6,9, Music Technology, Music Management. Graduate tuition: $5,744 res., $16,076 non-res. Degrees: 1-4,6,9. 360 music majors, 70 graduate students, 70 faculty, 32,000 total enrollment. 6 bands, 2 jazz bands, 1 orch., 3 chor. Kennesaw State University (Kennesaw). The School of Music offers undergraduate degrees in performance, music education, composition with courses in film and game scoring, theory, musicology, and ethnomusicology. Our faculty are first-class performers, scholars, and teachers preparing students to be creative artists, educators, and leaders for the 21st century. An All-Steinway school. Fully NASM accredited. Contact: Christine Collins, 471 Bartow Ave., Room 210, 470-578-6614, [email protected] Dead­line: 5/3. Tuition: $7,432 res., $21,158 non-res. Degrees: 1-5,9. 235 music majors, 80 faculty. 4 bands, 7 jazz bands, 2 orch., 5 chor. Mercer University, Townsend School of Music (Macon) offers undergraduate and graduate professional music studies in a comprehensive university environment. The school is an accredited member of the National Association of Schools of Music (NASM). Contact: Leigh Anne Hise, 1501 Mercer University Drive, 478-301-2748, fax: 478.301.5633, [email protected] edu. Undergraduate deadline: open. Undergraduate tuition: $36,594. Under-graduate degrees: 1,2, BA. Graduate deadline: 7/1. Graduate tuition: $720/cr. hour. Graduate degrees: 1,6,7. 85 music ma­jors, 112 graduate students, 31 faculty, 2,700 total enrollment. 2 band, 1 jazz band, 1 orch., 3 chor. University of Georgia (Athens). The Hugh Hodgson School of Music offers a comprehensive slate of degrees at the undergraduate and graduate levels, emphasizing scholarship, artistic performance, and research. High standards of musical performance and academic achievement are required for admission. Prospective students must submit applications to both the University of Georgia and the Hodgson School. Contact: Chris Hallum, 250 River Road, 706-542-2005, [email protected] Undergraduate deadline: 1/1. Under­grad­uate de­grees: 1-4,8, minor in jazz, music minor, bachelor of arts in music. Graduate deadline: 12/1. Graduate degrees: 1,2,4,5,6. 300 music majors, 200 grad students, 70 music faculty, 27,591 total undergraduate enrollment. 6 bands, 2 jazz bands, 2 orch., 9 chor. University of West Georgia (Carrollton). Offering Initial Certification, graduate and undergraduate degrees in Music Education and Performance, and undergraduate degrees in the areas of Composition, Piano Pedagogy, and Jazz Studies. MM in Music Education is 100% online. An accredited institutional member of NASM. Contact: Justin Barlow, UWG Admissions, 1601 Maple Street, 678-839-6516, [email protected] Deadline: 7/14. Tuition: $7,839 res., $13,231 non-res. Degrees: 1,2,4. Graduate deadline: 7/14. Graduate tuition varies. Graduate degrees: 1,2. 100 music majors, 30 graduate students, 21 music faculty, 12,600 total enrollment. 3 bands, 2 jazz bands, 3 chor. Valdosta State University (Valdosta). Comprehensive Regional University with Master’s degrees in Music Education, MAT in Music Education, Performance all areas. Undergraduate performance degrees and BA in Education, General, Jazz. Contact: Mary Beth Bennett, 1500 N. Patterson St., 229-333-5791, [email protected] Deadline: 8/1. Tuition and fees: $3,738 res., $10,479 non-res. De­grees: 1,2,6,9. Graduate deadline: 5/1. Graduate tui­tion: $3,245 res., $8,933 non-res. Graduate de­grees: 1,2,6. 150 music majors, 25 graduate students, 32 faculty, 12,000 total enrollment. 4 bands, 2 jazz bands, 2 orch., 4 chor. University of Idaho, Lionel Hampton School of Music (Moscow). As a musically comprehensive and internationally recognized institution, the Lionel Hampton School of Music is a tight-knit community of world class performers, teachers, composers, scholars, and – most importantly – dedicated students. Contact: Dean Kaler, 875 Perimeter Drive, MS 4253, 208-885-6163, [email protected] Under­graduate deadline: 5/1 (priority scholarship deadline 2/25). Tuition: $9,166 res., $26,802 non-res. Undergraduate degrees: 1-5; Music Business, Music Minor, Musical Theatre Minor, Jazz Studies Minor. Graduate deadline: 7/1 (priority deadline 2/1). Graduate tuition: $9,352 res., $26,988 non-res. Graduate degrees: 1,4,5; Piano Pedagogy and Performance, Col­laborative Piano, Choral Conducting. 225 music majors, 20 graduate students, 28 faculty, 11,500 total enrollment. 2 bands, 4 jazz bands, 1 orch., 5 chor. Augustana College (Rock Island). Music students prepare for their careers through carefully planned coursework in a strong liberal arts curriculum, individual advising, career internships, public performances and other professional experience. Contact: Margaret Ellis, 639 38th Street, 309-794-7333,[email protected] Dead­line: rolling. Tuition: $40,908. Degrees: 1,2,4,9. 90 music majors, 45 music faculty, 2,500 total enrollment. 2 bands, 1 jazz band, 1 orch., 4 chor. Bradley University (Peoria). Music at Bradley involves a combination of technology and tradition to prepare students as teachers, composers, performers, or executives in music industry. All Bradley students are welcomed into a performance program that involves over 350 musicians. Bradley’s highest priority is excellent teaching supported by research, scholarship, and creative activities. Contact: David Vroman, 1501 W. Bradley Ave., 309-677-2595, [email protected] Deadline: rolling. Tuition: $33,360. Degrees: 1,2,4,11. 90 music majors, 32 faculty, 5,400 total enrollment. 3 bands, 2 jazz bands, 1 orch., 4 chor. Columbia College (Chicago). Columbia’s Music Department emphasizes musicianship and proficiency, self-expression, originality, and professional training in all styles of music – classical, jazz, blues, gospel, hip-hop, reggae, and more. Upon graduation, our students are prepared for real jobs in the real world. Contact: Jeff Sanderson, 600 South Michigan Avenue, 312-369-7973, [email protected] Tuition: $26,090. Degrees: 1,3,4,9,12,13. 10,000 total enrollment. 7 bands, 5 jazz bands, 1 orch., 10 chor. For over 100 years, the DePaul School of Music has been dedicated to excellence in music teaching and performance with a distinguished faculty including members of the Chicago Symphony Orchestra and the Lyric Opera of Chicago. The school will open its new 185,000-square-foot Holtschneider Performance Center in the spring. Contact: Ross Beacraft, 804 W. Belden Ave., 773-325-7444, [email protected] Dead­line: 12/1. Tui­tion: $47,716. Degrees: 1,2,4,9,10,13, BA in music. Graduate deadline: 12/1. Graduate tui­tion: $685/cr. Grad. degrees: 1,2,4,9. 220 music majors, 140 graduate students, 120 faculty, 23,110 enrollment. 2 bands, 3 jazz bands, 2 orch., 2 chor. Elmhurst College (Elmhurst). Elmhurst College’s internationally renowned music department offers exceptional opportunities for students interested in the serious study of music. Our faculty includes members of the Chicago Symphony Orchestra and Symphony Chorus, Lyric Opera, and national recording artists and award winners. Degrees: 1-4,9,11. Contact: 630-617-3524, [email protected] Deadline: 7/1. Tuition: $23,560. 220 music majors, 50 faculty,, 3,400 total enroll. 3 bands, 2 jazz bands, 2 orch., 2 chor. Illinois State University (Normal). Illinois State University School of Music provides individualized attention providing large university opportunities in a small school environment, placing the learner at the center of teaching and research. Education and development beyond the classroom cultivates the appreciation of lifelong learning in all music students at Illinois State University. Contact: Steve Parsons, Campus Box 2200, 309-438-7631, [email protected] Deadline: 2/1. Tuition: $6,530 res., $13,060 non-res. De­grees: 1-4,8,9. Grad. deadline: 3/1. Tuition: $3,623 res., 7,544 non-res. De­grees: 1,2,4,6,8. 320 music majors, 68 grad. students, 56 faculty, 20,784 total enroll. 5 bands, 2 jazz bands, 1 orch., 5 chor. Illinois Wesleyan University (Bloom­ington). Nationally recognized for its musical and academic excellence, IWU launches graduates into a wide variety of successful and meaningful careers throughout the industry. IWU students receive rigorous professional training by a fully-accredited school of music (NASM) providing them unique opportunities to explore careers as performers, educators, composers, and scholars. Contact: Laura Dolan, PO Box 2900, 309-556-3063, [email protected] Deadline: rolling. Tu­i­tion: $45,600. Degrees: 1,2,4,12. 140 music majors, 56 faculty, 1,750 total enrollment. 3 bands, 2 jazz bands, 1 orch., 2 chor. Monmouth College (Monmouth) is a private, selective, liberal arts college offering over 50 majors. Students from all majors participate in Monmouth’s numerous performance groups. All students are invited to audition and apply for music scholarships. Contact: Tim Pahel, 700 E. Broadway Ave, 800-747-2687, [email protected] Deadline: 5/1. Tuition: $37,674. Deg: 1,2. 20 music majors, 12 faculty, 1,173 total enroll. 3 bands, 1 jazz band, 1 orch., 3 chor. Millikin University (Decatur). Our faculty will show that dreams and reality are not so far apart, as the faculty will play alongside students. Contact: Brynn Kickle, 1184 West Main Street, 217-424-6300, fax: 217.420.6652, [email protected] Deadline: rolling. Tuition: $34,210. Deg: 1,2,11. 291 music majors, 57 faculty, 1,950 total enroll. 2 bands, 4 jazz bands, 1 orch., 7 chor. North Central College (Naperville). North Central College is an independent, comprehensive college of the liberal arts and sciences and is committed to academic excellence; a climate that emphasizes leadership, ethics, values, and service; a curriculum that balances job-related knowledge with a liberal arts foundation; and a caring environment with small classes. Contact: Ashley Chubirka, 30 N. Brainard St., 630-637-5800, fax: 630.637.5819, [email protected] Deadline: 4/2. Tui­tion: $8,277. Degrees: 1,2,9,12. 90 music majors, 46 faculty, 3,000 total enrollment. North Park University has been educating students in the art of music for over 125 years. Now part of the School of Music, Art, and Theatre, the program is housed in the fully renovated state-of-the-art Hanson Hall, where students interact with music faculty comprised of esteemed professionals from the Chicagoland area. North Park students participate in the new Catalyst 606 program which provides weekly opportunities to learn off campus in Chicago, including North Park’s recent opera production at The Athenauem Theatre, one of the city’s most prestigious performance venues. Contact: Rebecca Ryan, Director of Operations, School of Music, Art, and Theatre, 3225 W. Foster Avenue, Box 19, 773-244-5623, [email protected] Dead­line: rolling. Tuition: $29,190. Degrees: 1,2,4,7,9,10; and graduate degrees in vocal performance and collaborative piano. 100 music majors, 45 faculty, 3,000 total enrollment. 1 band, 1 jazz band, 1 orch., 5 choirs, jazz combos, and chamber groups. [email protected] Undergrad. deadline: 7/15, 11/1. Undergrad. tuition: $396.19/cr. resident, $792.37/cr. non-resident Undergrad. degrees: 1,2. Grad­. deadline: 7/15, 11/1. Grad. tuition: $404.11/cr. hr. resident, $808.23/cr. hr. non-resident Grad. degrees: Applied Music Pedagogy. 99 music majors, 30 graduate students, 45 faculty, 8,438 total enrollment. 1 band, 2 jazz bands, 1 orch., 2 chor. Northern Illinois University (DeKalb). Our 60 renowned faculty are dedicated to supporting students obtain their full potential as music artists, educators, and scholars and our location one hour west of Chicago affords our students unparalleled additional cultural resources. Students perform in a wide range of ensembles: jazz, orchestra, winds, choirs, steelband and World Music. Grad­uate in-residence programs for string quartet. Contact: Lynn Slater, School of Music, 815-753-1546, fax: 815.753.1759, [email protected] Audition deadline: 2/23. Annual tuition: $14,300 res., $14,300 non-res. Degrees: 1,2,4,9,13. Grad­uate deadline: 2/23. Graduate tuition: $14,300 res., $14,300 non-res. Graduate de­grees: 1-4,6,9,13. 200 music majors, 80 graduate students, 60 faculty, 18,500 total enrollment. 3 bands, 3 jazz bands, 1 orch., 3 chor. Northwestern University’s Bienen School of Music combines a nationally ranked music program of conservatory-level intensity with the academic rigor and scholarly resources found only at a world-class private research university. Undergraduates may pursue a double degree or self-designed degree program in addition to traditional degrees. Contact: Patrick Zylka, 70 Arts Circle Drive, 847-491-3141, [email protected] Deadline: 12/1. Tuition: $54,120. Under­graduate degrees: 1-6,9. Graduate degrees: 1-6,9. 400 music majors, 200 graduate students, 125 faculty, 8,300 undergraduate enrollment. 3 bands, 1 jazz band, 3 orch., 5 chor. Roosevelt University, Chicago College of Perform­ing Arts (Chicago). Bringing together professional programs in music and theatre within the context of one of the world’s greatest cultural cities. Contact: Patrick Zylka, 430 S. Michigan Ave., #918, 312-341-6735, fax: 312.341.6358, [email protected] edu. Dead­line: 1/15. Tuition: $38,600. Degrees: 1,2,4,9,12. Graduate deadline: 1/15. Tui­tion: $38,600. Degrees: 1,4,10. 165 music majors, 140 graduate students, 100 fa­culty, 500 total enrollment. 1 band, 10 jazz bands, 3 orch., 3 chor. Saint Xavier University (Chicago) combines a safe south-side Chicago suburban community with easy access to the countless attractions and performance opportunities that exist downtown. Graduates of the program comprise some of the region’s most inspiring teachers and highly-skilled performers. Our NASM-accredited program also hosts an extremely popular music minor option. Contact: Jason Thompson, 3700 W. 103rd St., 773-298-3448, [email protected] Deadline: rolling. Tui­tion: $32,800. Degrees: 1,2,9. 40 music ma­jors, 23 faculty, 3,900 total en­rollment. 2 bands, 2 jazz bands, 1 orch., 2 chor. Southern Illinois University (Carbon­dale). SIU covers the spectrum, from symphony to solo, theory to composition, with our students adding their own hues. Faculty are instrumentalists, vocalists, and composers who understand the passion that brings a student to study music. We offer many different degrees to provide opportunities for a multi-dimensional array of creative expression. Contact: Jennifer Presar, 1000 S. Normal Ave., 618-536-8752, [email protected] Under-graduate deadline: 5/1. Undergraduate tuition: $294.50/cr. Undergraduate de­grees: 1-4,9,11,12, Liberal Arts. Grad­uate deadline: 7/15, 11/15. Graduate tuition: $469.50/c. res., $887.50 non-res. Graduate degrees: 1-6. 90 music majors, 30 graduate students, 23 faculty, 8,438 total enrollment. 3 band, 1 jazz bands, 2 orch., 2 chor. University of Illinois (Urbana). Per­for­mance, education and research programs with access to world-class libraries and facilities within the campus of a Big-Ten Land-Grant University. Contact: Angela Tammen, 1114 W. Nevada St., 217-244-7899, [email protected] Un­der­graduate deadline 1/5, early action: 11/1. Un­der­grad­uate tui­tion: $13,640 res., $30,210 non-res. Under­grad­uate degrees: 1-5,9,12, Music + Computer Science, Music Technology. Grad. deadline: 12/1. Grad­. tui­tion: $13,838 res., $28,562 non-res. Grad. degrees: 1,2,4,5,6,9. 375 music majors, 325 grad. students, 88 faculty, 33,467 total enrollment. 7 bands, 4 jazz bands, 3 orch., 7 chor. VanderCook College of Music (Chicago). VanderCook College of Music is the only degree-granting institution in America dedicated solely to preparing band, choral, string, and general music teachers. For over 100 years, VanderCook has offered comprehensive, practical, and affordable graduate and undergraduate music education degree programs. Continuing education also available. Continuing education also available. Contact: Cindy Tovar, 3140 S. Federal St., 312-788-1120, [email protected] Dead­line: Rolling. Tu­ition: $26,458. De­gree: 2. 90 music majors, 35 faculty, 90 total en­rollment. Grad. deadline: Rolling. De­gree: 2. 20 grad. students, 33 faculty. 2 bands, 1 jazz band, 1 orch., 2 chor. Western Illinois University (Macomb). Prepare graduates who possess the aural, analytical, conceptual, technological, and performance skills needed to be successful in the fields of education, therapy, performance, composition, and industry, or in an advanced degree program. Con­tact: Trista Trone, Browne 121A, 1 University Circle, 309-298-1087, [email protected] Under­grad. deadline: rolling. Undergraduate tu­i­tion: $284.70/cr. Undergraduate degrees: 1,2,4,8,9,12, music business. Grad. deadline: 1/31. Graduate tuition: $323.64/cr. Graduate degrees: 1,2,4,5,6,9,12, piano pedagogy, performance certificate. 165 music majors, 25 graduate students, 42 faculty. 9 bands, 7 jazz bands, 3 orch., 5 chor. Anderson University’s School of Music, Theatre, and Dance offers a comprehensive academic experience and rich variety of opportunities to compose and perform. Music education graduates have 100% job placement since 2011. Through Orange­haus Records and Publishing students experience the business of music, from developing projects to running the recording studio. Contact: Michelle Holmes, 1100 E. 5th St., 765-641-4037, [email protected] Deadline: 3/1. Tuition: $29,950. Degrees: 1,2,7,11-13, songwriting, dance. Graduate tuition: $400/cr. Graduate degrees: 2. 110 music majors, 20 grad students, 10 faculty, 1,800 total enrollment. 2 bands, 2 jazz bands, 1 orch., 4 chor. Ball State University (Muncie). The school of music is dedicated to providing innovative, high-quality, student-centered undergraduate and graduate education in music. It offers a wide range of programs, excellent student-faculty ratio, over 300 performances annually, state-of-the-art facilities, and nationally recognized faculty. Con­tact: Peter Opie, 2000 W. University Ave., 765-285-5503, [email protected] Un­der­grad. deadline: 1/1. Undergrad. tu­i­tion: $7,890 res., $24,462 non-res. Undergrad. degrees: 1,2,4,9,13. Graduate deadline: 2/15. Grad. tuition: $7,380 res., $20,322 non-res. Grad. degrees: 1-6. 370 music majors, 100 grad students, 80 faculty, 22,500 total enrollment. 6 bands, 3 jazz bands, 2 orch., 5 chor. Bethel College (Mishawaka). The music department has a 99% placement rate for music education graduates, 1998-2017. Bethel is a Christ-centered, NASM accredited institution striving to bring each student to an understanding of the pedagogical, historical, and theoretical as­pects of musical performance, while also striving for the highest levels of technical and artistic performance. Contact: Stephanie Hoch­stetler, 1001 Bethel Circle, 574-807-7600, [email protected] Degrees: 1,2, music (general). 25 music ma­jors, 4 faculty. 1 band, 2 jazz bands, 1 orch., 2 chor. Butler University (Indianapolis). As a musician at Butler University, you can easily pursue a double major, study abroad, complete research, or teach in the Community Arts School. Our flexible curriculum affords you the opportunity to achieve more, and shape a course of study that’s about reaching your career goals and pursuing your passions. Contact: Courtney Trachsel, 4600 Sunset Ave., 317-940-9065, [email protected] Deadline: 11/1. Un­dergrad. degrees: 1,2,4,9,10. Grad. degrees: 1,2,4,5,6; Piano Pedagogy. 200 music ma­jors, 40 graduate students, 45 faculty, 5,095 total enrollment. 2 band, 2 jazz bands, 1 orch., 3 chor. DePauw University (Greencastle). We challenge students to develop artistic excellence, creativity, and critical thinking skills; engage audiences from the stage, within their communities and across digital platforms; act as socially minded entrepreneurial musicians; recognize and champion diversity of all kind; and leverage technology in the creation and dissemination of music. Contact: George Palton, 204 E. Seminary Street, 765-658-4118, fax: 765.658.4042, [email protected] Deadline: 2/1. Tuition: $48,860. Deg: 1,2, Bachelor of Musical Arts. 151 music majors, 45 faculty, 2,267 total enrollment. 2 bands, 1 jazz band, 1 orch., 2 chor., chamber ensembles. Goshen College (Goshen). Goshen College is a music-intensive liberal arts environment. We are committed to educating the whole person while calling forth and supporting a high level of performance from each musician. Students studying music at Goshen College enjoy the benefits of our state-of-the-art music center, renowned for its exceptional acoustics. Contact: Lacey Pfeiffer, 1700 S. Main St., 574-535-7535, [email protected] Tui­tion: $33,700. Degrees: 1,2,7, Piano Pedagogy. 45 music majors, 6 music faculty. 1 band, 1 jazz band, 1 orch., 3 chor. Indiana State University (Terre Haute). The ISU School of Music graduates outstanding students in music education, music business, performance, composition, and liberal arts. Graduates can be found in teaching and music industry positions, as well as in graduate schools of music. Graduates of the masters of music program experience success in higher education and other music careers. Contact: Annika Clawson, 300 N. 7th Street, 812-237-2771, [email protected] Under­grad­uate deadline: 7/1. Under­grad­uate tuition: $8,890 res., $19,636 non-res. Under­grad­uate degrees: 1,2,4,11. Gra­d­uate deadline: 7/1. Gra­d­uate tui­tion: $412/credit hr. res., $809/credit hr. non-res. Gra­d­uate degrees: 1,2,6. 187 music majors, 7 graduate students, 37 music faculty, 13,584 total enrollment. 5 bands, 1 jazz band, 1 orch., 4 chor. Indiana University, Jacobs School of Music (Bloomington). The IU Jacobs School offers the benefits of a world-class conservatory with the re­sources of a major research university, all at one of the most beautiful campuses in the nation. With over 1,100 performances an­nually, including six fully staged operas and three ballets, there are numerous performing opportunities. Contact: Espen Jensen, 1201 E. 3rd St., 812-855-7998, fax: 812.856.6086, [email protected] Deadline: 11/1. Tuition/yr: $12,271 res., $37,495.92 non-res. Degrees: 1,2,4,9,13. Grad. deadline: 12/1. Grad. tui­tion: $638.93/credit res., $1,989.98/credit non-res. Grad. degrees: 1-7,9. 1,600 music students, 180 music faculty. 9 bands, 5 jazz bands, 7 orch., 8 chor. Indiana Wesleyan University (Marion). The IWU Division of Music is committed to preparing you completely with courses in liberal arts, applied instruments, theory, history, conducting, instrumental techniques, and piano skills and composition, as well as offering you a variety of vocal and instrumental ensemble opportunities. IWU is a Christ-centered institution. Contact: Michael Flanagin, 4201 South Washington St., 765-677-2564, email: [email protected] Deadline 3/1. Tuition: $26,630. Degrees: 1,2,4,7,8, songwriting, worship arts, applied music. 170 music majors, 27 faculty, 3,200 total enrollment. 2 bands, 2 jazz bands, 1 orch., 3 chor. Purdue University Fort Wayne offers degrees in Music Education, Music Performance, Music Therapy, Music Industry, Popular Music, and Music Technology. Low tuition and scholarships available. 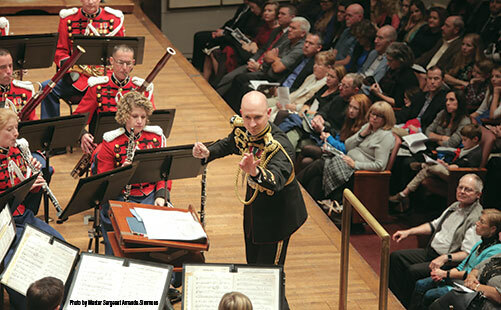 Unique partnerships with the Fort Wayne Philharmonic, Sweetwater and other community partners. Contact: Sandra Franke, 2101 E. Coliseum Blvd., 260-481-6714, [email protected] Tuition: $8,500 res., $19,500 non-res. 200 music majors/pre majors, 62 faculty, 9,000 total enrollment. Undergrad. degrees 1,2,8,13. 3 bands, 2 jazz band, 1 orch., 3 chor., opera company, chamber ensembles. University of Evansville (Evansville). UE offers motivated students the opportunity to be challenged, providing first-class music degrees in a liberal arts setting. Degrees in Music Therapy, Performance, Education, Management, and Music Studies feature a comprehensive curriculum and an emphasis on active learning, giving our students extensive experience in the chosen field of study. Contact: Linda Happe, 1800 Lincoln Avenue, 812-488-2742, [email protected] Undergrad deadline: 12/1. Tuition: $35,300. Degrees: 1,2,11, music therapy. 100 music majors, 29 faculty, 2,400 total enrollment. 3 bands, 2 jazz bands, 2 orch., 4 chor. University of Indianapolis (In­di­an­ap­o­lis). The University of Indianapolis ap­peals to students looking to engage with a first-rate faculty and connect in a closely-knit educational environment, all within minutes of downtown Indianapolis. Close proximity to the downtown area provides a vibrant setting for internship possibilities as well as culturally engaging opportunities for students. Contact: Grace Labens, 1400 E. Hanna Ave, 317-788-3255, [email protected] Dead­line: rolling. Tu­ition: $1,200/cr. Degrees: 1-4,7-9,13, music business. 100 music majors, 50 faculty, 4,200 total enrollment. 2 concert bands, 1 jazz bands, 1 orch., 4 chor. University of Notre Dame (Notre Dame). The Band of the Fighting Irish is comprised of students from across the U.S. and overseas, enrolled in every field of study at the University of Notre Dame. In addition, we welcome students from Saint Mary’s College and Holy Cross College. Notre Dame is committed to meeting the financial needs of every student. Contact: Shelley Way, 100 Ricci Band Rehearsal Hall, 574-631-7136, [email protected] Deadline: 1/1. Tuition: $53,391. 7 bands, 11 section ensembles, 3 jazz bands. Valparaiso University (Valparaiso). The Department of Music offers a rigorous music curriculum, outstanding ensembles, excellent studio instruction, and, most important, a faculty focused on nurturing the gifts of the college undergraduate. Facilities include the Center for the Arts and the Chapel of the Resurrection, one of the world’s largest collegiate chapels. Contact: Nicole Lee, 1709 Chapel Drive, 219-464-5274, [email protected] Dead­line: 1/25. Tuition: $39,00. Degrees: 1,2,4,7. 80 music majors, 35 faculty, 4,000 total enrollment. 3 bands, 1 jazz band, 1 orch., 4 chor. Coe College (Cedar Rapids). Coe College is a selective, private, nationally recognized four-year coeducational liberal arts institution providing superior educational experiences for students since 1851. Coe offers Bachelor of Music degrees in education, performance, and composition and the Bachelor of Arts in Music. Contact: Bob Benson, 1220 1st Avenue, NE, 319-399-8521, fax: 319.399.8209, [email protected] Dead­line: 3/1. Tuition: $43,700. Degrees: 1,2,4. 50 music majors, 32 faculty, 1,435 total enrollment. 1 band, 1 jazz band, 1 orch., 2 chor. Iowa State University (Ames). Profes­sional studies for students who wish to prepare for careers in music education, performance, and composition. Courses in music literature, theory, areas of performance, and string ensembles. Contact: Kevin Judge, Music Hall, 515-294-3345, [email protected] Dead­line: 2/8. Tu­i­tion: $14,912 res., $21,292 non-res. Degrees: 1,2,4. 130 music majors, 36 faculty, 36,000 total enrollment. 8 bands, 2 jazz bands, 2 orch., 4 chor. St. Ambrose University (Davenport). Offering more than 60 majors, St. Ambrose University is committed to academic excellence, the liberal arts, social justice, and service. Music scholarships are available to both music majors and those pursuing degrees other than music. Contact: Terri Flynn, 518 W. Locust, 563-333-6145, [email protected] Deadline: rolling. Tuition: $45,000 (with opportunities for scholarships). Degrees: 1,2. 3,600 total enrollment. 2 bands, 1 jazz band, 1 orch., 5 chor. University of Iowa (Iowa City). The University of Iowa School of Music offers degree paths in all areas of music, from performance and academics to music education and music therapy. UI has a remarkable 9 to 1 student to faculty ratio; with a combined 450 undergraduate and graduate students, it is large enough to sustain strong programs in all areas of specialization, yet small enough to provide individual attention to every student. Contact: Pauline Wieland, 93 E. Burlington St., 319-335-1604, [email protected] Deadline: 3/1. Tui­tion: $9,492 res., $31,458 non-res. Degrees: 1-9. Graduate deadline: 7/15. Tuition: $10,958 res., $29,694 non-res. Degrees: 1-9. 450 music majors, 60 faculty, 31,387 total enrollment. 5 bands, 7 jazz bands, 3 orch., 5 chor. University of Northern Iowa (Cedar Falls). The UNI School of Music is regarded as one of the finest music programs in the Midwest and is NASM accredited. Students interested in majoring in music or participating in music ensembles will be excited to find exceptional faculty, innovative programs and state-of-the-art facilities at an affordable price. Contact: Caroline Francis, 115 Russell Hall, 319-273-2024, [email protected] Dead­line: rol­ling. Tuition $7,665 res., $18,207 non-res. Degrees: 1-4,6,9,10,13. Graduate deadline: rolling. Graduate tuition: $9,159 res., $19,633 non-res. Degrees 1-6,9. 300 music majors, 50 grad. students, 60 faculty, 10,104 total enrollment. 2 bands, 3 jazz bands, 1 orch., 5 chor. Kansas State University (Manhattan). More than 3,000 Kansas State students participate in music. Our music education program, in particular, is one of the strongest programs anywhere. Kansas State Univer­sity’s Department of Music is committed to the highest ideals of music education, performance, scholarship, and service to the arts. Con­tact: New Student Services, Berney Family Welcome Center, 785-532-6318, fax: 785.532.3696, [email protected] Tui­tion: $5,236.80. Degrees: 1-6. Grad. degrees: 1-6. 300 music majors, 40 faculty, 24,766 total enrollment. 6 bands, 1 jazz bands, 1 orch., 1 chor. Pittsburg State University (Pittsburg) is a comprehensive, regional institution in the southeast corner of Kansas. The music program offers BA, BM, BME, and MM degrees, with many areas of specialty. The school is a member of NASM. Contact: Susan Marchant, 1701 S. Broadway, 620-235-4466, fax: 620-235-4468, [email protected] Deadline: rolling. Tuition: $7,298 res., $18,642 non-res. (fee reduction program available). Undergraduate degrees: 1,2. Grad. deadline: rolling. Graduate tuition: $8,164 res., $18,804 non-res. Options for reduced tuition for students from Ark., Miss., Okla., & Texas. Graduate degrees: 1,2,6. 115 music majors, 15 graduate students, 20 faculty, 7,400 total enrollment. 2 bands, 2 jazz bands, 2 orch., 3 chor. University of Kansas (Lawrence). The School of Music at the University of Kansas offers an array of programs of study at the bachelor’s, master’s, and doctoral levels and contributes to the arts community through student, faculty and visiting artist performances. Contact: Christine Metz Howard, 452 Murphy Hall, 1530 Naismith Drive, 785-864-9751, [email protected] Deadline: 11/1. Under­graduate degrees: 1-9. Graduate deadline: 12/1. Graduate degrees: 1-9. 267 music majors, 204 graduate students, 70 faculty, 20,000 total enrollment. 4 bands, 9 jazz bands, 1 orchestra, 7 chor. Wichita State University (Wichita). The School of Music is highly performance oriented, but we also have a wonderful Music Education department. Our Opera department is also outstanding. Our faculty perform regularly with the Wichita Symphony, Music Theatre Wichita, and Wichita Grand Opera. Contact: Russ Widener, 1845 Fairmount, 316-978-6565, [email protected] Undergrad deadline: 2/1. Undergrad. degrees: 1-6,9,12. Grad. deadline: 7/15. Grad. degrees: 1-6. 200 music majors, 100 grad. students, 50 faculty, 16,000 total enroll. 2 bands, 1 jazz bands, 1 orch., 4 chor. Asbury University (Wilmore) is an accredited institutional member of the National As­sociation of Schools of Music. Music faculty help students gain a high level of performance proficiency, a firm theoretical and historical foundation, a solid preparation for a music career and/or graduate study, with a fusion of Christian faith and practice. Contact: Glen Flanigan, 1 Macklem Dr., 859-858-3511, [email protected] Deadline: rol­ling. Tui­tion: $29,900. Degrees: 1,2,4,5,7. 40 music ma­jors, 24 faculty, 1,956 total enrollment. 1 band, 1 jazz band, 1 orch., 3 chor. Murray State University (Murray). The Department of Music has been a member of the National Association of Schools of Music since 1936 and has a long and outstanding tradition of excellence. Graduates with degrees in music from Murray State University serve as leading musicians in such roles as opera singers, popular recording artists, professional symphony musicians, jazz educators, songwriters, television writers, public school music teachers, university music department chairs, instrument teachers, church musicians, and college music teachers. Contact: Lucia Unrau, 504 Fine Arts, 270-809-4288, [email protected] Degrees: 2. 240 music majors, 24 faculty, 10,800 total enrollment. 4 bands, 2 jazz bands, 2 orch., 4 chor. University of Kentucky (Lexington). For almost 100 years, the University of Kentucky School of Music has helped musicians prepare for careers as performers, educators, researchers, and a wide array of leadership positions in and outside the musical realm. Music majors benefit from world-class teaching and broad academic offerings. There are abundant opportunities to participate in both large and chamber ensembles. Contact: Laurie Flewwellin, UK School of Music, 105 Fine Arts Building, 859-257-4900, [email protected] Undergrad tuition: $6,210 res., $14,648 non-res. Degrees: 1,2,10,12. Grad. tuition: $6,526 res., $15,682 non-res. Deg: 1-8,10. 250 music ma­­jors, 150 grad. students, 50 faculty, 30,000 total enroll. 3 bands, 3 jazz bands, 2 orch, 4 chor. Western Kentucky University (Bowling Green) prepares students of all backgrounds to be productive, engaged, and socially responsible citizen-leaders of a global society. The University provides research, service and lifelong learning opportunities for its students, faculty, and other constituents. WKU enriches the quality of life for those within its reach. Contact: Jace Lux, 1906 College Heights Blvd., 270-745-0111, [email protected] Deadline: 8/1. Under­grad. tuition: $9,912 res., $24,792 non-res. Undergrad. degrees: 1,2, Liberal Arts in Music, Music Minor. Grad. deadline: 8/1. Graduate tuition: $570/hr. res., $816/hr. non-res. Grad. degrees: 2,6, Pedagogy. 180 music majors, 20 grad. students, 40 faculty, 20,000 total enrollment. 5 bands, 2 jazz bands, 1 orch., 6 chor. University of Louisiana (Monroe). VAPA programs are designed to develop your expertise, challenge your creativity, and fuel your passion for the arts! The Music Program, an accredited member of the National Association of Schools of Music, offers the Bachelor of Music degree with concentrations in performance, theory and composition, piano pedagogy, and music education. Contact: Sami Owens, 700 University Ave., 318-342-5430, [email protected] Under­grad­uate deadline: 12/1. Under­graduate tu­i­tion: $8,733.88 res., $20,833.88 non-res. Under­grad­uate de­grees: 1-4, Piano Pedagogy. Grad­uate tuition: $9,451.82 res., $21,551.82 non-res. Grad­uate degrees: Master of Education. 85 music majors, 2 graduate students, 22 faculty, 9,200 total enrollment. 3 bands, 1 jazz bands, 4 chor. University of Maine (Orono). UMaine, within the School of Performing Arts, offers the future and present music educators of our state and region degree programs at the bachelor’s and master’s levels. We also offer programs concentrating in Performance and general B.A. in music and a B.A. with a concentration in jazz. Contact: Beth Wiemann, Class of 1944 Hall, 207-581-1244, [email protected] Undergrad. deadline: rolling. Undergrad. tuition: $5,762 res., $16,098 non-res. Undergrad. de­grees: 1,2. Grad. deadline: rolling. Grad. tuition: $4,442 res., $13,154 non-res. Grad. degrees: 1,2. 100 music majors, 10 grad. students, 10 faculty, 11,000 total enrollment. 4 bands, 3 jazz bands, 1 orch., 4 chor. At the Peabody Conservatory, we are a community of artists – cultivating excellence, embracing new ideas, and committed to the future of music in our world. At Peabody, you’ll learn what it means to be a modern artist, ready to take your place in the world and shape the future with sound. Contact: Margaret Bell, 1 E. Mt. Ver­non Pl., [email protected], 667-208-6567. Un­der­graduate deadline: 12/1. Under­graduate tuition: $48,645. Undergraduate de­grees: 1,2,4,9,13, Historical Per­for­mance, Com­puter Music, Music for New Media. Graduate deadline: 12/1. Graduate tuition: $48,645. Graduate de­grees: 1-6,9,13, His­torical Performance, Computer Music. 340 music majors, 335 graduate students, 171 faculty. 1 band, 2 jazz bands, 5 orch., 2 chor. umbc.edu. Deadline: 2/1. Tuition: $8,204 res., $21,432 non-res. Degrees: 1,2,4,5,9,13. 150 music ma­jors, 14 full-time, 32 part-time faculty, 13,637 total enrollment. 1 band, 3 jazz bands, 1 orch., 2 chor. University of Maryland (College Park). At the University of Maryland you will find the personal attention of an elite School of Music alongside the wealth of experiences only available at a public research institution. Contact: Jenny Lang, 8115 Alumni Drive, 2110 Clarice Smith Center, 301-405-8435, [email protected] Under­grad­uate deadline: 11/1. Under-graduate tuition: $10,595 res., $35,216 non-res. Degrees: 1-4,9. Graduate deadline: 12/1. Graduate tuition: $11,472-$14,340 res., $24,768-$30,960 non-res. Graduate de­grees: 1-6,9. 230 music majors, 230 graduate students, 100 faculty, 28,000 total enrollment. 4 bands, 3 jazz bands, 2 orch., 4 chor. Boston Conservatory at Berklee (Boston). Boston Conservatory at Berklee is reimaging, what a conservatory education should be for today’s performing artists. Apply by December 15. Contact: Brian Calhoon, 8 Fenway, 617-912-9153, fax 617.912.9153, [email protected] Deadline: 12/15. Tuition: $43,770. Degrees: 1,4,12. Grad­uate deadline: 12/15. Tuition: $43,770. Degrees: 1,2,4,6,12. 226 music majors, 86 faculty, total enrollment 660. 3 bands, 3 orch., 4 chor. Bridgewater State University (Bridgewater). With easy public transportation to Boston, Bridgewater State University provides exciting opportunities for music performance and education for both music majors and non-majors within a challenging and supportive setting, including a wide range of performance opportunities spanning several genres and styles. Contact: Donald Running, 40 Cedar St., 508-531-1377, [email protected] Deadline: 2/15. Tuition: $11,267 res., $17,417 non-res. Degrees: 1,2,9. Grad. deadline: 4/1. Tuition: $459.96. Degree: 2. 40 music majors, 15 grad. students, 35 faculty, 12,000 total enrollment. 2 band, 1 jazz bands, 3 chor. Longy School of Music of Bard College (Cambridge) is located in Massachusetts with a satellite campus in Los Angeles for its Master of Arts in Teaching degree. While studying with some of the best faculty in the country, students develop skills to become professional musicians in a rapidly changing musical landscape. Contact: Azusa Chapman, 27 Garden St., 617-876-0956, [email protected] Deadline: 12/1. Tuition: $41,800. Undergraduate degrees: 1,4. Graduate degrees: 1,4. 50 music majors, 200 graduate students 120 faculty. 1 band, 1 jazz band, 1 orch., 1 chor. New England Conservatory (Boston). NEC is a premier conservatory that values exploration and collaboration. Our students are mentored by a devoted faculty of esteemed artist-teachers and scholars. Our alumni fill orchestra chairs, concert halls, jazz clubs, recording studios, and arts management positions worldwide. Nearly half of the Boston Symphony Orchestra faculty are NEC alumni/faculty. Contact: Alex Powell, 290 Huntington Ave., 617-585-1101, [email protected] Dead­line: 12/1. Tui­tion: $47,900. Degrees: 1,4,9; Contem­porary Im­provisation. Graduate deadline: 12/1. Tuition: $47,900. Degrees: 1,3,4,5,,9; Con­temporary Improvisation. 400 music ma­jors, 375 graduate students, 230 music faculty, 400 total undergrad. enrollment. 2 bands, 30 jazz bands, 4 orch., 2 chor. The Department of Music and Dance offers outstanding educational opportunities leading to performance and teaching careers within a diverse university setting. Degrees offered: BA; BM in Jazz, Music Education, History, Performance, or The­ory/Composition; MM in Col­lab­orative Piano, Composition, Conducting, Per­formance, Jazz Composition/Arranging, Mu­sic Education, History, or Theory. Contact: Director of Admissions, 263A Fine Arts Center, 413-545-6048, fax: 413.545.2092, [email protected] Undergraduate deadlines: Early 11/5, Regular 1/15. Undergraduate tuition: $15,888 res., $34,570 non-res. Under­graduate degrees: 1-5,9. Graduate dead­line: 10/1 for Spring, 2/1 for Fall. Graduate tuition: $10,866 res., $20,908 non-res. Graduate degrees: 1-6,9. 172 music majors, 60 graduate students, 48 faculty, 30,037 total enrollment. 4 bands, 3 jazz bands, 3 orch., 6 chor., 15 chamber/studio ensembles. Central Michigan University (Mount Pleasant). The School of Music is the artistic hub of Central Michigan University. The School’s dedicated faculty of artist/teachers, a rigorous curriculum, and the outstanding accomplishments of our students and alumni fuel its success and recognition. Contact: Lynn Losey, School of Music 162, 989-774-1950, [email protected] Un­der­graduate deadline 3/15. Undergraduate tuition $12,510 res., $23,670 non-res. Undergraduate degrees: 1,2,3,4. Graduate deadline: 3/15. Graduate tuition: $596/cr. res., $850/cr. non-res. Graduate degrees: 1,2,4,6. 400 music majors, 70 graduate students, 48 faculty. 4 bands, 2 jazz bands, 1 orch., 4 chor. Eastern Michigan University (Ypsilanti). EMU School of Music & Dance offers undergrad and grad degrees, including music education, music therapy, performance, collaborative piano, piano pedagogy, and dance within a strong liberal arts tradition. A major university with small classes taught by professors. Lots of performance opportunities, world-class faculty. Affordable education; instate for Ohio. Contact: Donald Babcock, N101 Alexander, 734-487-4380, [email protected] Undergraduate deadline: March 2018. Undergraduate tui­tion: $9,906 res., $24,622 non-res. Under­graduate degrees: 1,2,8,10, BA, minor. Grad­uate deadline: March 2018. Graduate tuition: $8,364 res., $9,660 non-res. Degrees: 1,2,4,10, piano pedagogy, collaborative piano. 295 music students, 50 grad­­uate students, 60 faculty, 22,000 enrollment. 5 bands, 2 jazz bands, 1 orch., 4 chor. Grand Valley State University (Allendale) is a comprehensive, four-year public institution located near Grand Rapids, Michigan, that has established a reputation for preparing its more than 25,000 students to excel in virtually every field. GVSU’s liberal education focus emphasizes critical thinking, creative problem solving, and cultural understanding – preparing students for life in a fast-changing world. Contact: Caitlin Cusack, 1 Campus Dr., 1300 Performing Arts Center, 616-331-3484, fax 616.331.3100, [email protected] Deadline: 12/31. Tuition: $12,484 res., $17,762 non-res. De­grees: 1,2. 200 music majors, 57 faculty, 25,325 total enrollment. 4 bands, 1 jazz band, 2 orch., 4 chor. Hope College (Holland). Housed in state-of-the-art Jack H. Miller Center for Musical Arts (opened 2015), the Hope College Department of Music offers professional training in performance and music education in the context of a private liberal arts college, affiliated with the Reformed Church in America. Scholarship auditions begin November 15. 221 Columbia Avenue, 616-395-7650, [email protected] Undergraduate deadline: rolling. Tuition: $33,700. Degrees: 1,2,9, BA. 50 music majors, 40 faculty, 3,200 total enrollment. 2 bands, 1 jazz band, 2 orch., 5 chor. Michigan State University (East Lansing). The College of Music prepares students to become world-class musicians within the setting of a major Big Ten university. Our world-renowned faculty help our students discover new worlds of expression and develop a creative style that is uniquely their own. We offer a wide range of performance opportunities and scholarly activities. 333 W. Circle Dr., 517-432-2140, [email protected] Under-graduate deadline: 2/1. Undergrad. tuition: $482/cr. resident, $1,325.50/cr. non-resident Undergraduate degrees: 1,2,3,9, BA in Music (General). Graduate deadline: 12/1. Graduate degrees: 1-6,8. 550 music majors, 250 graduate students, 70 faculty, 50,000 total enrollment. 6 bands, 3 jazz bands, 2 orch., 8 chor. University of Michigan (Ann Arbor). Founded in 1880, the University of Michigan School of Music, Theatre & Dance is one of the finest performing arts schools in the United States. Encompassing programs in dance, music, musical theatre, and theatre, we are consistently ranked among the top performing arts schools in the country. Contact: Julia Hoffert, 1100 Baits Drive, 2290 Moore Bldg., 734-764-0593, [email protected] Dead­line: 2/1. Undergrad. tuition: $15,538 res., $49,839 non-res. Undergrad.degrees: 1-5,7,9,12,13. Grad. tuition: $24,196 res., $48,244 non-res. Grad. degrees: 1-7,9,13. 150 faculty, total enrollment 29,000. 5 bands, 4 jazz bands, 5 orch., 9 chor. Western Michigan University (Kalamazoo) is dedicated to the advancement of the musical arts through traditional study and performance, while promoting the development of new musical paths, preparing students for an ever-changing profession. Contact: Music Advising, 1903 W. Michigan Ave., 269-387-4672, [email protected] Under­grad­. deadline: 2/15. Undergrad. tuition $13,396 res., $16,286 non-res. Undergrad. degrees: 1,2,4,8,9,12,13, Multi­media Arts Tech­nology, Undergraduate Certificate in Music Therapy Equivalency. Graduate deadline: 3/1. Grad. tuition: $651.57/cr. hr. res., $1,232.05/cr. hr. non-res. Graduate degrees: 1,4,6,8, Graduate Certificate. 467 music majors, 84 graduate students, 45 faculty, 22,894 total enrollment. 3 bands, 3 jazz bands, 1 orch., 5 chor. Augsburg University (Minneapolis) has maintained a strong academic reputation defined by excellence in the liberal arts and professional studies since 1869. A safe and welcoming campus in the heart of Minneapolis, Augsburg offers undergraduate and graduate degrees to more than 3,500 diverse students. Contact: Shonna Fulford, 2211 Riverside Ave., 612-330-1001, fax 612.330.1590, [email protected] Dead­line: rolling. Undergrad. degrees: 1,2,8, BA in Music, BA in Music Business. Grad. degree: 8. 110 music majors, 16 grad students, 48 faculty, 4,524 total enroll. 1 bands, 2 jazz bands, 1 orch., 4 chor. composition, music education, church music. St. Olaf’s nationally ranked programs in math and natural sciences also attract talented non-music major participants. 1520 St. Olaf Ave., 507-786-3297, [email protected] Deadline: 12/15. Tui­tion: $47,840. De­grees: 1-5,7, BA in music. 275 music majors, 60 faculty, 3,000 enroll. 2 bands, 3 jazz bands, 2 orch., 8 chor. Southwest Minnesota State University (Marshall). SMSU is a 4-year liberal arts college in southwest Minnesota. The university offers many undergraduate degrees including a Bachelor of Arts in Music and a Bachelor of Science in Music Education. Emphases include performance, theory/composition, management, and Music in the Liberal Arts as well as instrumental and choral music education. Contact: John Ginocchio, 1501 State Street, 507-537-7209, [email protected] Deadline: 5/30. Tuition: $8,640 Degrees: 1,2,4,11. 30 music majors, 15 music faculty, 2,500 total enrollment. 3 bands, 1 jazz band, 1 orch., 3 chor. University of Minnesota (Duluth). The Department of Music at UMD is a vibrant and artistic learning environment with outstanding faculty members who provide students with a comprehensive music education in music, preparing them for employment and enriching their lives through their study of music. Contact: Dee Charles, 31 W. College St., 218-726-7890, fax: 218.726.6824, [email protected] Undergraduate degrees: 1-4,9, Bachelor of Music, Bachelor of Arts, Music Minor. Graduate degrees: 1,2,6, Instrumental, Vocal, Collaborative Piano. 160 music majors, 18 graduate students, 40 faculty, 9,239 total enrollment. 4 bands, 4 jazz bands, 3 orch., 5 chor. University of Minnesota (Minneapolis). At the University of Minnesota School of Music, you will have the opportunity to enjoy the many advantages of a premier research University and vibrant metropolitan arts scene while also benefitting from the welcoming atmosphere created by our small cohort of faculty and students, gaining a truly world-class education. Contact: Anabel Njoes, 2106 4th Street South, 612-624-2847, fax 612.624.8001, [email protected] Undergraduate deadline: 12/15. Undergraduate tuition: $14,760 res., $30,438 non-res. Degrees: 1,2,8, BA in Music. Graduate deadline: 12/1. Graduate tuition: $8,532 res., $13,206 non-res. Degrees: 1-6,8, Collaborative Piano. 250 music majors, 80 faculty, 30,000 total enrollment. 5 bands, 5 jazz bands, 2 orch., 5 chor. University of St. Thomas (St. Paul). This is Minnesota’s largest private university, with 10,000 students committed to the common good. A renowned faculty of progressive artists and practitioners leads undergraduate studies and graduate programs for educators. Ensembles welcome all and provide free academic credit. Scholarships are based on performance and academic achievement. Contact: Shersten Johnson, 2115 Summit Avenue, BEC 05, 651-962-5850, [email protected] Under­graduate tuition: $41,481. Un­der­graduate de­grees: 1,2,4,7, 11,13. Graduate degrees: 2. 80 music ma­jors, 125 graduate students, 50 fa­culty, 10,500 total enrollment. 3 bands, 1 jazz band, 1 orch., 6 chor. Central Methodist University, Swinney Conservatory of Music (Fayette). CMU students have plentiful performance opportunities, work closely with dedicated faculty, and are part of a vibrant community of scholar-musicians. With a focus on academic excellence, ethical leadership, and social responsibility, CMU offers baccalaureate degrees in Music Education, Performance, Music Ministry, and a Master of Music Education. Con­tact: DaSean Stokes, 411 Central Methodist Square, 660-248-6137, [email protected] Un­der­graduate deadline: rolling. Under­graduate tuition: $23,650. Under­graduate degrees: 1,2,7. Graduate deadline: rolling. Graduate tuition: $250/hour. Grad­uate degree: 2. 60 music majors, 20 graduate students, 20 music faculty, 1,100 total enrollment. 3 bands, 1 jazz band, 2 chor. 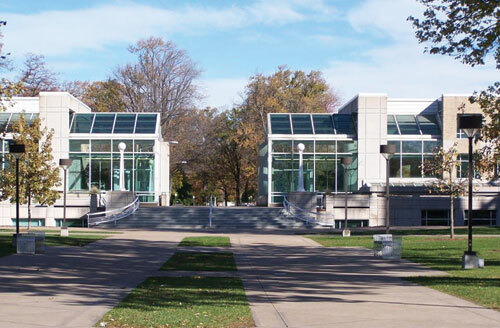 Northwest Missouri State University (Maryville). Northwest Missouri State University is a great place to study music and music education. The Northwest Music program offers Bachelor of Music Education (B.M.E.) and Bachelor of Arts in Music (B.A.) degrees. Since 1969, Northwest Missouri State University has been accredited by the National Association of Schools of Music. Contact: Jeremy Waldeier, 800 University Dr., 660-562-1722, [email protected] Un­der­graduate deadline: 7/1. Under­graduate tuition: $9,804.90 res., $16,457.40 non-res. Undergraduate degrees: BME, BA. 90 music majors, 17 music faculty, 6,800 total enrollment. 2 bands, 2 jazz bands, 1 orch., 3 chor. Truman State University (Kirks­ville). Truman’s success as one of the nation’s premier public liberal arts and sciences institutions can be traced to one guiding principle: an unwavering commitment to the undergraduate student. Truman offers an affordable education where intellectual challenge is embraced in a nurturing and diverse environment. 100 E. Normal Avenue, 660-785-4114, fax: 660.785.7456, [email protected] Deadline: 12/1. Undergraduate tuition: $7,425 res., $14,277 non-res. Undergrad. degrees: 1,3,4, Jazz Studies minor. Grad. deadlines: 11/1, 4/1, 6/1. Tuition: $363.50/cr. res., $629/cr. non-res. Grad. degrees: 1-6, Master of Arts in Education – Music. 154 music majors, 28 graduate students, 24 faculty, 5,853 enroll. 3 bands, 2 jazz bands, 1 orch., 3 chor. University of Central Missouri (Warrensburg) provides a broad, rich foundation of training and experience, developing flexible artists, ready to engage with the world of music today. Traditional strengths of music education and music technology are complemented by vital emphases in performance, conducting, and pedagogy. De­part­ment of Music, Utt 109, 660-543-4682, fax: 660.543.8271, [email protected] Dead­line ongoing. Undergrad. tuition: $225.65/cr. res., $451.30/cr. non-res. Degrees: 1,2,9,11,12,13, Piano Ped­agogy. Grad. deadline: 3 weeks prior to starting semester. Grad. tuition: $298.50/cr. res., $597.00/cr. non-res. Degrees: 1,2,5,6,9, Piano Pedagogy. 220 music majors, 60 grad. students, 33 faculty, 14,000 total enrollment. 5 bands, 2, jazz bands, 1 orch., 3 chor. University of Missouri (Kansas City). UMKC is the University of Missouri’s designated campus for the performing arts. The Conservatory is a major contributor and component in the Kansas City arts community. Training tomorrow’s musicians, dancers, and educators by providing exceptional, experienced faculty, plus outstanding student opportunities. Con­tact: Julie Koch, Grant Hall, 5227 Holmes St., 816-235-2900, [email protected] Un­der­graduate deadline: 12/15. Under­graduate tuition: $9,180 res., $22,330 non-res. Undergraduate de­grees: 1-4,8,9. Grad­uate deadline: 3 weeks before beginning of semester. Graduate tuition: $7,540 res., $19,466 non-res. Graduate de­grees: 1-6,8,9. 330 music majors, 220 graduate students, 100 faculty, 16,000 total enrollment. 2 bands, 2 jazz bands, 1 orch., 4 chor. University of Nebraska (Kearney). The Department of Music at UNK provides a high-quality music education at an outstanding value. Our highest priority is to educate students to become lifelong, independent learners and practitioners of the arts. Our faculty fosters a student-centered environment with emphasis on leadership, inquiry, and cooperative learning. Contact: LeeAnn Amm, 2510 11th Ave., 308-865-8526, [email protected] Undergraduate deadline: rolling. Undergraduate tuition: $225/cr. hr. res., $387/cr. hr. non-res. Undergraduate degrees: 1,2,12, BA, BM, BME. Graduate deadline: rolling. Graduate tuition: $302/cr. hr. res., $538/cr. hr. non-res. Graduate degrees: 2; MAE. 104 music majors, 16 graduate students, 22 faculty. 4 bands, 1 jazz band, 1 orch. 5 chor. University of Nebraska (Lincoln). The Glenn Korff School of Music nurtures the creativity, artistry, and scholarship of students and faculty; educates students to achieve excellence as educators, performers, composers, and scholars; and enriches the education of all students through the study and practice of music and dance. Contact: Janet Sievert, 121 Westbook Music Building, 402-472-2503, fax: 402.472.8962, [email protected] Under-graduate deadline: 5/1. Undergraduate tuition: $245/cr. res., $771.50/cr. non-res. Under­graduate degrees: 1,2,4, BA, BM, BME. Graduate deadline: 2/1. Graduate tuition $323.25/cr. res., $925.25/cr. non-res. Grad­uate degrees: 1-6,9, MM, DMA, PhD. 380 music majors, 60 faculty, 25,000 total enrollment. 6 bands, 3 jazz bands, 3 orch., 6 chor. Keene State College (Keene). KSC’s versatile Music program includes Bachelor of Music degrees in Music Education, Performance, Composition, and Music Technology, as well as a Bachelor of Arts in Music option. Music majors participate in various ensembles, perform in master classes with guest artists, and are active in their professional organizations. Contact: admissions office, 229 Main St., 800-572-1909, [email protected] Tuition: $11,468 res., $20,432 non-res. Deg: 1,2,4,6,13. 93 music majors, 729 graduate students, 35 faculty. 12 bands, 2 jazz bands, 2 orch., 4 chor. University of New Hampshire (Durham). is located in the beautiful, vibrant, and accessible seacoast area of New Hampshire, we offer programs in performance, composition, and music education. Regardless of program, our dedicated faculty strives to develop our students into the best musicians they can be. Contact: Alexis Zaricki, 30 Academic Way, 603-862-2418, [email protected] Undergraduate dead­line: 2/1. Undergraduate tuition: $15,140 res., $30,520 non-res. Under­graduate degrees: 1,2,4. Graduate deadline: 4/1. Graduate tuition $13,840 res., $27,130 non-res. Graduate degrees: 4-6. 115 music majors, 7 graduate students, 35 faculty, 13,000 total enrollment. 5 bands, 2 jazz bands, 1 orch., 3 chor. Kean University (Union) is nestled in a quiet community with a train to New York City on its beautiful 100-acre campus. The music conservatory is especially well known for its support of undergraduate music majors and its exceptional record for placing music education majors into successful teaching positions. Contact: 908-737-4300, fax: 908.737.4333, [email protected] Dead­line 12/1. Tuition $6,173.75 res., $9,691.25 non-res. Degrees: 1,2. 85 music majors, 28 faculty, 12,445 total enroll. 2 bands, 1 jazz band, 1 orchestra, 2 choruses. Mason Gross School of the Arts at Rutgers, the State University of New Jersey (New Brunswick). Located just 45 minutes from New York City, Mason Gross is the flagship public arts conservatory of New Jersey. With a distinguished faculty boasting principals and members of the New York Philharmonic, the Philadelphia Orchestra, and the Metropolitan Opera Orchestra, Mason Gross School of the Arts has quickly become a clear choice for those interested in a top-tier professional music school. Contact: Kara Golden, 33 Livings­ton Ave., 848-932-5269, [email protected] Under­graduate dead­line: 12/1. Undergrad­uate tui­tion: $6,161/sem. res., $13,964.50/sem. non-res. Under­grad­uate de­grees: 1,2,4,9. Graduate deadline: 2/1. Grad­uate tuition: $9,312/sem. res., $14,736/sem. non-res. Degrees: 1-6,9. 261 music majors, 235 graduate students, 110 faculty. 4 bands, 3 jazz bands, 2 orch., 4 chor. New Jersey City University (Jersey City). NJCU’s beautiful campus is located just minutes away from New York City. The university’s close proximity to Manhattan allows students to sample New York’s cultural riches. The department of music also features a world class faculty. Contacts: Paul Robertson or Min Kim, 2039 Kennedy Blvd., 201-200-2178/2025, fax: 201.200.3130, [email protected], [email protected] Undergrad. tuition: $5,945.75/sem. res, $10,706.70/sem. non-res. Under­graduate degrees: 1,2,11,12. Graduate tuition: $708.75/cr. res., $1,135.55/cr. non-res. Graduate degrees: 1,2,9, multiple woodwind. 160 music majors, 40 graduate students, 14 full-time faculty. William Paterson University (Wayne). The Department of Music at William Paterson University is committed to developing students’ talents in a supportive and challenging environment. We offer superior degree programs across the musical spectrum, with focuses from classical music to jazz to popular music and concentrations ranging from music education, industry, production and performance. Contact: Iris Perry, 300 Pompton Rd., 973-720-3466, [email protected] Under­grad­uate deadline: 6/1. Undergrad­uate tuition: $12,804 res., $20,842 non-res. Under­graduate degrees: 1,2,9,11,13. Graduate deadline varies by program. Graduate tuition $700/cr. res., $1089/cr. non-res. Graduate degrees: 1,2,4,9,11. 230 music majors, 20 graduate students, 100 faculty, 11,000 total enrollment. 15 bands, 30 jazz bands, 2 orch., 4 chor. Eastern New Mexico University (Por­tales). The Eastern New Mexico University Department of Music is committed to providing development of the individual student as an artist, educated member of society and expressive human being; exceptional professional preparation; educational and aesthetic experiences for the community and region; and response to the changing needs of contemporary society. Contact: Jacquelyn Campbell, 1500 S. Ave. K, ENMU Station 16, 800-367-3668, [email protected] Deadline: 8/1. Tuition: $5,920 res., $11,700 non-res. Degrees: 1,2,4,13. 120 music majors, 19 faculty, 6,300 total enrollment. 4 bands, 2 jazz bands, 3 chor. University of New Mexico (Albu­quer­que). The University of New Mexico Department of Music strives to give each student a first-rate musical education under the guidance of our dynamic artist faculty, and a well-balanced program among the disciplines of performance, music education, theory and composition, jazz studies, string pedagogy, conducting and musicology. Contact: Michael Hix, MSC04 2570, 1 Univer­sity of New Mexico, 505-277-2126, [email protected] Undergraduate tui­tion: $7,146. Under­graduate degrees: 1-4,9. Graduate tuition: $8,142. Graduate degrees: 1-6. 200 music majors, 100 graduate students, 65 faculty, 25,000 total enrollment. 4 bands, 4 jazz bands, 2 orch., 4 chor. The College of Saint Rose (Albany). A progressive community of scholars focused on applying what they’ve learned to engage in the world around them, The College of Saint Rose offers a private, independent, coeducational college experience in a vibrant urban setting. Saint Rose combines rigorous studies with opportunities for students to meaningfully interact with their community. Contact: Sara Sirianni, 432 Western Avenue, 518-485-3383, [email protected] Under­graduate deadline: early decision 12/1, regular decision 2/1. Undergrad­uate tuition: $31,432. Under­graduate degrees: 1,2,4,6,11. 230 music majors, 63 faculty, 2,602 total enrollment. 2 bands, 2 jazz band, 2 orch. 5 chor. Eastman School of Music, University of Rochester (Rochester) maintains the highest standards for artistry, intelligent musicianship, and scholarship and provides an outstanding faculty, broad and continuous playing experience, and innovative ap­proaches to career development. Eastman students enjoy a collaborative musical en­vironment and can earn minors or second degrees at the University of Rochester. Contact: 26 Gibbs Street, 585-274-1000, [email protected] Deadline: 12/1. Undergraduate tuition: $53,340. Undergraduate degrees: 1-4,9, double major. Grad. tuition: $36,740. Graduate degrees: 1,2,4-6,9, Opera, Piano Accompanying and Chamber Music. 550 music majors, 450 graduate students, 120 faculty, 1,000 total enrollment. 2 bands, 4 jazz bands, 2 orch., 4 chor. Houghton College, Greatbatch School of Music (Houghton) is uniquely situated as a conservatory model school of music within a Christ-centered, nationally-ranked, liberal arts college. Students learn from accomplished faculty who teach with integrity. Opportunities include internships and residencies, international touring with ensembles, Pro Tools certification, Presidential Scholarship Competition, and generous graduate assistantships. Contact: Kelly Van Kirk, 1 Willard Ave., 585-567-9400, fax: 585.567.9517, [email protected] Under-graduate dead­line: rolling. Undergraduate tuition: $41,776 (rent and board included, as of 16-17). Undergraduate de­grees: 1,2,4, 11, BA, BMus with non-music elective studies. Graduate deadline: rolling. Graduate degrees: 1,4,6, MA, MM in Collaborative Performance. 101 music majors, 15 graduate students, 26 faculty, 1,031 total enroll. 1 band, 2 jazz bands, 1 orch., 4 chor. Ithaca College (Ithaca). Founded in 1892 as a conservatory, the School of Music offers a superb blend of full-time faculty, performance opportunities, and success in job acquisition. With a commitment to undergraduate education, the School of Music has 500 undergraduate and 50 graduate students. Contact: Bradley Whitte­more, 953 Danby Road, 607-274-3366, [email protected] Undergraduate dead­line: 12/1. Under­grad. tuition: $43,978. Undergrad. degrees: 1-4,9,12,13, Bachelor of Music with an Outside Field. Graduate deadline: 12/1. Graduate tuition: $15,624. Grad­uate degrees: 1,2,4,6, Masters of Music in Suzuki Pedagogy and String Performance. 500 music majors, 50 graduate students, 75 faculty. 6,200 total enrollment. 3 bands, 2 jazz bands, 2 orch., 5 chor. The Juilliard School (New York). Since opening in October 1905, Juilliard has set this country’s standard for education in the performing arts. An original constituent of Lincoln Center, Juilliard is growing with the needs of a thriving cultural community in the US and abroad. Contact: Music Admissions, 60 Lincoln Center Plaza, 212-799-5000, [email protected] Dead­line: 3/1. Tuition: $45,110. Deg: 1,4-6,9. 350 music majors, 310 grad. music majors, 250 faculty. 1 band, 2 jazz bands, 4 orch. Long Island University, Post Campus (Brookville). LIU Post is a liberal arts institution set in a 307 acre estate located only 45 minutes from New York City on the north shore of Long Island, offering undergraduate and graduate degrees in performance, music education, composition, and music history. Talent scholarships and graduate assistantships are available by audition. Contact: Lisa Meyer, Dept. of Music, 720 Northern Blvd., 516-299-2475, [email protected] Undergraduate deadline: rolling. Tuition: $35,737 res., $49,757 (w/ room and board) non-res. Degrees: 1,2,9,10. Graduate deadline: rolling. Tuition: $22,250. Degrees: 1-6,9. 41 undergrad. music majors, 26 grad. music majors, 43 faculty, 3,000 total enrollment. 3 bands, 3 jazz bands, 2 orch., 3 chor. Manhattan School of Music (New York). Manhattan School of Music prepares highly talented students for careers as passionate performers and composers and to be imaginative, effective leaders in the arts. Our students thrive in a supportive atmosphere that encourages excellence, values individuals, and welcomes innovation. Contact: Christian Cassidy, 120 Claremont Ave., 917-493-4436, [email protected] Undergraduate deadline: 12/1. Under­graduate tuition: $46,700. Undergraduate degrees: 1,4,9,12. Graduate deadline: 12/1. Graduate tuition: $46,700. Graduate degrees: 1,2,4,6,9. 474 music majors, 490 graduate students, 179 faculty, 964 total enrollment. 2 bands, 5 jazz bands, 6 orch., 3 chor. Nazareth College of Rochester, Department of Music (Rochester). Linking the Professional Arts, Liberal Arts and Fine Arts. The Nazareth College Department of Music offers degrees in Music Therapy, Music Education, Music Performance, Bachelor of Arts, Music Composition, and Music Business with each student receiving a paid internship grant within the first two years of study. Contact: Nancy Strelau, 4245 East Ave., 585-389-2691, [email protected] Undergraduate dead­line: rolling. Under­graduate tuition: $32,850. Under­graduate degrees: 1,2,4,8,11,12. Graduate. deadline: rolling. Tuition: $930/cr.. Degrees: 1,2,8. 215 music majors, 35 grad. students, 75 faculty, 2,200 total enrollment. 3 bands, 2 jazz bands, 2 orch., 2 chor. New York University, Steinhardt School of Culture, Education, and Human De­velopment (New York). The Department of Music and Performing Arts Professions at NYU Steinhardt offers professional training combined with the academic excellence of an internationally recognized university. Our programs, baccalaureate through doctoral, share a spirit of openness and innovation that encourages the pursuit of high artistic goals enriched by the world of interdisciplinary ideas. Contact: Paul Ho¬ran, 35 W. Fourth St., Suite 1077, 212-998-5424, fax: 212.995.4043, [email protected] Deadline: 1/1. Tuition: $49,480 res. and non-res. Degrees: 1-4,9,11-13. Graduate deadlines: Masters 1/6; Doctoral 12/1. Tuition: $41,424. Degrees: 1-4,8-13. 682 music majors, 516 graduate students, 300 faculty, 1,198 total enrollment. Queens College, Aaron Copland School of Music (Queens). The Aaron Copland School of Music (ACSM) is located in Flushing, New York. The School of Music is part of Queens College, of the leading senior college in the City University of New York. ACSM offers a first-class curriculum, renowned faculty, and an extraordinary facility, at an extremely affordable tuition. Contact: Jane Cho, 6530 Kissena Blvd., 718-997-3800, [email protected] Undergraduate deadline: 1/1. Under­graduate tuition: $6,730 res., $14,400 non-res. Undergraduate de­grees: 1,2. Graduate deadline: 2/1. Graduate tuition: $10,770 res., $16,600 non-res. Graduate de­grees 1-5,9,13. 200 music majors, 190 graduate students, 105 faculty, 19,000 total enrollment. 1 bands, 1 jazz band, 2 orch., 3 chor. State University of New York (Fredonia). Fredonia has been known & recognized for excellence in music for over 100 years. Offering a broad range of undergraduate and graduate degree programs, Fredonia is among the best places to enter professional music training. Our reputation is built on a long history of excellence, consistency, trust, and innovation. Contact: Barry Kilpatrick, 280 Central Avenue, 716-673-3151, [email protected] Undergraduate deadline: 4/1. Undergraduate tui­tion: $8,488 res., $18,268 non-res. Under­graduate degrees: 1-6,8-13. Graduate tuition: $12,708 res., $24,268 non-res. Graduate degrees: 1-6,8,. 570 music majors, 60 graduate students, 100 faculty, 4,800 total enroll. 4 bands, 4 jazz bands, 3 orch., 4 chor. State University of New York, The Crane School of Music (Potsdam) was one of the first institutions in the country to have programs dedicated to preparing specialists in teaching music in public schools. Through­out Crane’s history the school’s primary mission has been to educate music teachers with an emphasis on excellence in performance. 44 Pierrepont Avenue, 315-267-2812, [email protected] Un­der­grad. dead­line: 3/1. Undergrad. tui­tion: $6,670 res., $16,320 non-res. Under­grad. de­grees: 1-5,11. Grad. deadline: 5/1. Grad. tuition: $11,090 res., $22,650 non-res. Grad. de­grees: 1,2. 550 music majors, 25 grad.students, 90 faculty, 3,800 total enrollment. 4 bands, 2 jazz bands, 2 orch., 5 chor. Syracuse University, Setnor School of Music (Syracuse). The Setnor School of Music offers opportunities for the highest level of professional musical development, within the context of a broad, humanistic education. We encourage a wide range of creative options, recognizing that the classical tradition continues to grow and that it is only one in a world of others. Contact: Christine Evans, 202 Crouse College, 315-443-2769, [email protected] Undergrad. deadline: 1/1. Undergrad. tuition: $50,230. Undergrad. degrees: 1,2,4,11,13. BA in Music. Grad. deadline: 2/15. Grad.tuition: $28,062. Grad­. degrees: 1,2,4,6,11, Voice Pedagogy. 250 music majors, 50 graduate students, 75 faculty, 21,970 total enrollment. 4 bands, 2 jazz bands, 1 orch., 6 chor. Appalachian State University (Boone). The Hayes School of Music fosters a caring, respectful, and inclusive community that focuses on individual student growth and development in the pursuit of musical artistry, academic excellence, and professional success. Accredited by NASM, the Hayes School of Music enjoys a widely renowned reputation, particularly in the Southeast. Contact: James Douthit, 813 Rivers St., 828-262-3020, [email protected] Undergraduate deadline: 8/8. Undergraduate tuition: $7,652 res., $22,458 non-res. Undergrad. de­grees: 1,2,4,7,8,11,13. Grad. deadline: varies by program. Grad. tuition: $7,960 res., $21,392 non-res. Grad. de­grees 1,8. 450 music majors, 25 graduate students, 58 faculty, 18,000 total enroll. 4 bands, 2 jazz bands, 2 orch., 6 chor. East Carolina University (Greenville). The School of Music at ECU provides a nurturing atmosphere where gifted and talented students may grow and develop to their full potential and be prepared for state and national leadership roles in the musical arts. Contact: Mail Stop 508, 252-328-4281, fax 252.328.6258, [email protected] 280 music majors, 50 grad. students, 50 faculty, 29,000 total enroll. 3 bands, 2 jazz bands, 1 orch., 4 chor. University of North Carolina (Greensboro). UNCG offers the only comprehensive music program from undergraduate through doctoral study in performance and music education in North Carolina. Studies complement rigorous professional training with a broad liberal education. Our approach of combining conservatory style learning, outstanding faculty, and beautiful facilities clearly reaps rewards. Contact: Amanda R. Hughes, PO Box 26170, 336-334-3638, [email protected] Under-graduate deadline: Rolling. Undergraduate tuition: $7,331 res., $26,912 non-res. De­grees: 1,2,4,9,10. Graduate deadline: 12/1. Degrees 1-4,6, Post-Baccalaureate certificates in Music Theory, Musicology (Historical), Ethnomusicology, Composition, Jazz, and Music Education; Post-Master’s certificate in Music Theory Pedagogy. 375 music majors, 200 graduate students, 65 faculty, 20,000 total enrollment. 3 bands, 2 jazz bands, 2 orch., 5 chor. University of North Carolina School of the Arts (Winston-Salem). With select admissions, a robust scholarship program, and 7-to-1 student-to-teacher ratio, we function like a private conservatory within the North Carolina state university system. Offering world-class instruction and an active lineup of distinguished visiting artists, we have a student body ranging from high school students through performing artists certificates. Contact: Sheeler Lawson, 1533 South Main Street, 336-770-3264, [email protected] Tuition: $6,497 res., $22,640 non-res. Degrees: 1,4. Grad. tuition: $8,796 res., $22,803 non-res. Degrees: 1,4,6. 150 music majors, 50 grad. students, 30 faculty, 800 total enroll. 1 band, 1 jazz band, 1 orch., 1 chor. Baldwin Wallace University Conservatory of Music (Berea). Bold opportunities leading to artistic excellence and innovation are at the center of BW’s Conservatory of Music. A vibrant arts community and facility, our All-Steinway Conservatory is a top-ranking program of 13 undergraduate majors that provides students with extraordinary opportunities to perform, compose, conduct, teach and excel. Contact: Corrie Anne Riberdy, 275 East­land Rd., 440-826-2368, [email protected] Deadline: 11/1. Tui­tion: $32,586. Degrees: 1-5,8,10,12. 317 music majors, 72 faculty, 3,961 total enrollment. 2 bands, 1 jazz band, 1 orch., 5 chor. Bowling Green State University (Bowling Green). We offer degrees in jazz studies, music education, music performance, world music, music history, and musical arts. Our renowned faculty produce award-winning students and alumni. A medium-size institution in northwest Ohio, BGSU offers the best of training in a small-town setting. Come belong, stand out, and go far. Contact: Bill Mullins, 419-372-8577, [email protected] Undergraduate dead­line: 2/23. Undergraduate tui­tion: $11,220 res., $19,208 non-res. Undergraduate de­grees: 1,2,4,5,9,12, world music. Graduate dead­line: 3/1. Graduate tuition: $13,124 res., $21,112 non-res. Graduate degrees: 1-6,9, ethnomusicology. 350 music majors, 150 grad students, 70 faculty, 19,000 total enrollment. 6 bands, 3 jazz bands, 3 orch., 6 chor. Capital University, Conservatory of Music (Columbus). Our artist faculty want to challenge you, applaud you, and inspire you. Through outstanding performance opportunities, internships, meaningful student teaching experiences, and numerous master classes, your own artistic potential will be nurtured and celebrated. We do all of this to achieve our goal of transforming your life artistically and creatively so you can be a leader and contributor in your community. Contact: Susanna Mayo, 1 College and Main, 614-236-6101, fax: 614.236.7947, [email protected] Undergraduate deadline: rolling. Undergraduate tuition $35,146. Undergraduate degrees: 1,2,4,7,9,11-13, BA in Music. Graduate deadline: 6/1. Grad. tuition: $600/cr. Grad. degrees: 2, Emphasis in Instrumental Music, Jazz Pedagogy, and Kodály; degree is summer only, 3-year completion. 400 music majors, 2,700 total undergraduate enrollment. Cleveland Institute of Music (Cleveland). The Cleveland Institute of Music is distinguished by an exceptional degree of collaboration between students and teachers. Students enjoy numerous performance opportunities, from recitals to chamber music to orchestra and opera. Violinists Ilya Kaler and Olga Dubossarskaya Kaler join CIM’s renowned faculty, which includes 33 members of The Cleveland Orchestra. Contact: Jerrod Price, 11021 East Blvd., 216-791-5000, [email protected] Dead­line: 12/1. Tuition: $40,000. Undergraduate degrees 1,3,4,13. Grad­uate degrees: 1,3,4,6. 245 music majors, 160 graduate students, 106 faculty. 1 orch. Cleveland State University (Cleveland). The Department of Music at Cleveland State University provides a dynamic setting located in one of the most active cultural centers in the United States where celebrated artist-teachers and talented students collaborate to achieve artistic and academic success. Contact: Kate Bill, 2121 Euclid Ave, 216-687-5039, [email protected] Deadline: rolling. Tuition: $10,400 res, $14,800 non-res. Under­graduate degrees: 1,2,4,8,BA in music. Graduate deadline: 3/15. Tuition: $545.45/cr. hr. res., $932.30/cr. hr. non-res. Graduate degrees: 1,2,4. 225 music majors, 30 grad. students, 58 faculty, 18,000 total enrollment. 2 bands, 4 jazz bands, 2 orch., 3 chor. Kent State University, Hugh A. Glauser School of Music (Kent). As one of the most distinguished schools in the Midwest, the School offers a wide variety of opportunities at both the undergraduate and graduate level. Our faculty consists of consummate professionals with extensive teaching and performance careers. Music Education is a vital and central part of the School. Contact: Jesse Leyva, 1325 Theatre Drive E101, 330-672-2172, [email protected] Undergraduate deadline: 4/1. Under­graduate tuition: $10,756 res., $19,458 non-res. Undergrad. degrees: 1,2,4,9,13. Graduate deadline: rolling. Graduate tuition: $11,536 res., $21,524 non-res. Graduate degrees: 1-6, ethnomusicology. 200 music majors, 250 grad. students, 60 faculty, 30,000 enrollment. 5 bands, 2 jazz band, 1 orch., 6 chor. Oberlin College, The Oberlin Conser­va­tory of Music (Oberlin). Founded in 1865 and situated amid the intellectual vitality of Oberlin College, the Oberlin Conser­vatory of Music is renowned internationally as a professional music school of the highest caliber. Pronounced a “national treasure” by the Washington Post, Oberlin’s alumni have gone on to achieve illustrious careers in all aspects of music. Contact: Michael Man­deren, 39 W. College St., 440-775-8413, fax 440.775.6972, [email protected] Dead­line: 12/1. Tui­tion: $54,346. Degrees: 1,2,4,5,6,9,0 (double degree BM + BA with Oberlin College). Grad. deadline 12/1. Degrees: 1,2,6. 575 music majors, 12 grad. students, 98 music faculty, 2,900 total enrollment. 2 jazz band, 4 orch., 3 chor. Ohio Northern University (Ada). Fully accredited by NASM, ONU Music offers study abroad opportunities, international touring, superb academics, small classes, faculty with connections, and 90-100% placement in a liberal arts setting. ONU ranks 2nd in “Creative Colleges: A Guide for Students, Actors, Artists, Dancers, Musicians and Writers.” Generous scholarships for majors and non-majors. Contact: Rebecca Casey, 525 South Main Street, 419-772-2156, fax: 419:772:2488, [email protected] Priority deadline: 12/1. Tuition: $32,260. Degrees: 1,2, BA in Music with concentrations in Music History/Literature, Music Theory/Composition, Applied Studies, or Sound Recording Technology. 65 music majors, 30 faculty, 3,500 total enrollment. 10 bands, 1 orch., 6 chor. The Ohio State University (Colum­bus). The Ohio State University offers the advantage of resources provided by a world-class university in an arts-enriched metropolitan city, while providing individual attention. OSU is an innovative place for making exceptional music, stimulating artistic growth, exploring educational methodology, and conducting groundbreaking research. Over 300 annual events are presented. Contact: Eva Banks, 110 Weigel Hall, 1866 Col­lege Rd., 614-292-2870, fax: 614.292.1102, [email protected] Deadline: 11/1 for early action & scholarships, 2/1 final. Tuition: $11,745.00 res., $31,761.80 non-res. Degrees: 1-5,9, BA in Music. Graduate dead­line: 11/30. Tui­tion: $21,675. De­grees: 1-6, Pedagogy. 300 music majors, 150 grad. students, 65 faculty, 50,000 total en­roll. 6 bands, 3 jazz bands, 3 orch., 6 chor. Ohio University (Athens). The School of Music is committed to developing confident, creative, and skilled professionals musicians. Undergraduate and graduate students are prepared for careers in music education, performance, music therapy, composition, musicology, and music theory. The School of Music promotes the musical arts within the university, regional, national, and international communities. Contact: Helen Kasler, 1 Ohio University, 740-593-4244, [email protected] Deadline: 12/1 early action, 2/1 final. Tuition: $12,192 res, $21,656 non-res. Degrees: 1,2,4,8. Graduate deadline: 2/1. Graduate tuition: 1,2,3,4,6,8, Online MME Degree. 240 music majors, 60 grad. students, 51 faculty, 24,000 total enrollment. 4 bands, 2 jazz bands, 2 orch., 5 chor. Otterbein University (Westerville). The Otter­bein University De­partment of Music offers both professional and liberal arts degree tracks and a large number of performing opportunities. Contact: Jennifer Markovich, 1 S. Grove St., 614-823-1219, fax: 614.823.1219, [email protected]n.edu. Dead­line: rolling. Tuition: $31,424. Degrees: 1,2,12; B.A. in Music, B.A. in Music and Business. 155 music majors, 50 faculty, 3,000 total enrollment. 2 bands, 3 jazz bands, 2 orch., 6 chor. University of Akron (Akron). Acclaimed as one of the best music schools in the state and region, and at the cultural center of the city, the UA School of Music’s internationally recognized faculty are dedicated to helping our students discover their future in the many diverse fields of music. Contact: Courtney Johnson-Benson. 302 Buchtel Common, 330-972-7590, [email protected] Undergraduate dead­line: rolling. Undergraduate tuition: $11,846 res., $15,500 non-res. Undergraduate degrees: 1-4,6,9. Grad. deadline: rolling. Grad­uate tuition: $442.10/cr. res., $747.98/cr. non-res. Degrees: 1-4,6,10,13. 240 music majors, 40 grad. students, 60 faculty, 23,000 total enroll. 6 bands, 2 jazz bands, 1 orch., 2 chor. University of Cincinnati, College Conser­vatory of Music (Cincinnati). Nationally ranked and internationally renowned, the University of Cincinnati College-Con­servatory of Music (CCM) is a preeminent institution for the performing and media arts. Contact: Andrea Fitzgerald, PO Box 210003, 513-556-9479, [email protected] Undergraduate deadline: 12/1. Under­graduate tuition: $11,000 in state, $26,334 out of state. Undergraduate degrees: 1,2,4,5,9,12, BM in Com­mercial Music Production. Grad. deadline: 12/1. Grad. tuition: $12,790 in state, $24,532 out of state. Graduate degrees: 1-6,9,10, Artist Diplomas in all instruments. 384 undergraduate music majors, 439 graduate music majors, approx. 145 music faculty, 792 total undergraduate enrollment at CCM, 586 total graduate enrollment at CCM. 2 bands, 11+ jazz bands, 2 orch., 3 chor. University of Dayton (Dayton). The Department of Music at the University of Dayton offers six music degree programs to foster understanding and critical thinking about music’s place in culture through applied instruction and performance opportunities. We strive to enrich each student’s career aspirations by promoting the value of life-long learning in the musical arts. Contact: Karen Solarek, 300 College Park, 937-229-3936, [email protected] Deadline: 2/1. Tuition: $34,162. Degrees: 1,2,4,5,7-9. 70 music majors, 55 faculty, 7,900 total enrollment. 3 bands, 3 jazz bands, 1 orch., 6 chor. Wright State University (Dayton). The Wright State University School of Music offers curriculum designed for students wishing to pursue a career in music. A member of NASM, the school offers undergraduate and graduate degrees in several areas, including performance, music education, and music history/literature. Collaborative degrees in Computer Science and Pre-Medicine are also available. Contact: Amy Neace, 3640 Colonel Glenn Hwy., 937-775-2353, fax: 937.775.4212, [email protected] Undergraduate dead­line: 4/1. Tuition: $5,407 res., $15,088 non-res. Undergraduate degrees: 1,2,5. Grad­uate deadline: 4/15. Grad­. tui­tion: $660/cr. res., $1,125/cr. non-res. Grad­. de­grees: 1,2,5,6. 200 music majors, 20 grad. students, 40 music faculty, 18,059 total enroll. 5 bands, 1 jazz band, 2 orch., 5 chor. Northwestern Oklahoma State Uni­versity (Alva) is a comprehensive public regional university of 2,300 students offering more than 40 undergraduate and master degree programs. Located in Alva, a city situated in scenic Northwest Oklahoma, the university is nationally recognized as an institution that offers quality of academic programs within a student-friendly environment. Contact: Marc Decker, 709 Oklahoma Blvd., 580-327-8191, [email protected] Tuition: $305.25/cr. res., $542.50/cr. non-res. Degrees: 1,2. 2,300 total enrollment. 2 bands, 1 jazz band, 3 chor. Oklahoma City University, Wanda L. Bass School of Music (Oklahoma City) features top faculty-artists, concerto competitions, and community partners. 2 orch., 2 bands, 1 jazz band, 5 choirs. Degrees: 1,2,4,6,7,11,12. OCU enrollment: 3,500. Music majors: 392. Faculty: 65. Contact: Kari Barber, Coordinator of Admissions & Student Services, 2501 N. Blackwelder Ave., 405-208-5980; [email protected] Deadline: 3/15. Tuition $925/cr. Grad. deadline: 3/15. Tuition $936/cr. Oklahoma State University (Stillwater). The music program at Oklahoma State University serves students who plan careers in the field of music as well as those who desire to participate in a comprehensive music program. Professional instruction prepares students for careers in performance, teaching, or the music industry. Contact: Holli Stevens, Greenwood School of Music, 132 Seretean Center for Performing Arts, 405-744-6133, [email protected] Undergraduate tui­tion: $10,480 res., $25,520 non-res. Undergraduate degrees 1,2,11. Graduate tui­tion: $223.30/cr. res., $849.20/cr. non-res. Degrees: 1,6. 210 music majors, 25 graduate students, 40 faculty, 26,000 total enroll. 4 bands, 3 jazz bands, 1 orch., 4 chor. Southwestern Oklahoma State University (Weatherford). Southwestern Oklahoma State University’s Department of Music works with you to achieve your personal best. Study with superb musicians committed to your advancement. SWOSU gives you the educational and performance opportunities you need for success. Our Department is one of the region’s largest and finest music schools. Come join us! Contact: Todd Boyd, 100 Campus Dr., 580-774-3063, [email protected] Degrees: 1,2,8,11. 150 music majors. 5 bands, 2 jazz bands, 1 orch., 4 chor. University of Central Oklahoma (Ed­mond). As Oklahoma’s metropolitan university, Central offers more than 17,000 students an innovative learning community where teaching comes first. Students develop relationships with faculty and staff guided by the mission of helping students learn and transforming lives. Contact: Janna Montgomery, 100 N. University Dr., 405-974-5749, [email protected] Under­graduate and graduate deadlines: 3/1. Undergraduate tuition: $216.00/cr. res., $579.00/cr. non-res. Under­graduate degrees: 1,2,4,6,9,12,13, Col­la­borative Piano, Piano Pedagogy, Vocal Pedagogy. Grad. tuition: $368.00/cr. res., $700.00/cr. non-res. Grad. degrees: 1,2,4,6,9,12,13, Collaborative Pi­ano, Piano Pedagogy, Vocal Pedagogy. 373 music majors, 79 graduate students, 75 faculty, 17,000 total enroll. 3 bands, 4 jazz bands, 2 orch., 4 chor. University of Oregon (Eugene). Our students and faculty experiment and innovate in a supportive environment. Contact: 1225 University of Oregon, 541-346-5268, fax: 541.346.6101, [email protected] Undergraduate deadline: 1/15. Un­der­graduate tuition $11,571 res., $34,611 non-res. Undergraduate degrees: 1-5,9. Grad. deadline 12/10. Graduate tuition $16,659 res., $28,161 non-res. Grad. degrees 1-6,9, Intermedia Music Tech­nol­ogy, Piano/Violin/Viola Pedagogy, Col­la­borative Piano. 240 music majors, 160 grad­uate students, 68 faculty. 7 bands, 5 jazz bands, 2 orch., 7 chor. Pacific University (Forest Grove) offers a superb music education within the framework of a nationally recognized liberal arts university. Individual attention is emphasized, combined with rigorous private instruction and challenging ensemble studies. The program serves music majors, minors, and students majoring in other disciplines. 2043 College Way, 503-352-2897, fax 503.352.2910. Dead­line: 9/1, 3/1. De­grees: 1,2,8. 66 music majors, 25 faculty, 1,850 under­­grad. enroll. 1 band, 1 jazz band, 1 orch., 2 chor. Willamette University (Salem). The Wil­lamette University music department offers programs of rigorous training in specialized music disciplines combined with core music historical and theoretical studies, all within the broad spectrum of a distinguished liberal arts university. Em­phasizing individual instruction combined with chamber and ensemble playing, the programs serve music majors, minors, and non-majors. 900 State St., 844-232-7228, fax: 503.375.5363, [email protected] Deadline: 11/15. Tuition: $49,750. Degrees: 1,4,9,13. 55 music majors, 36 faculty, 3,060 total en­rollment. 1 band, 1 jazz band, 1 orch., 3 chor. Bucknell University (Lewisburg). The Department of Music offers an exceptional education within Bucknell’s liberal arts community. Students collaborate with an active faculty of performers, composers, and scholars to explore music through diverse historical periods for advanced study, the teaching profession, and employment as arts professionals. Contact: Brenda Ross, 1 Dent Dr., 570-577-1216, [email protected] Dead­line: 1/15. Tuition: $55,788. Degrees: 2; BM Vocal Per­formance, BA with concentration in Performance, Contemporary Composition, Cultural/Critical Studies. 50 music majors, 33 faculty, 3,500 total enrollment. 1 band, 1 jazz band, 1 orch., 2 chor. Carnegie Mellon University School of Music (Pittsburgh). Be a part of an innovative fine arts community immersed in a top research university. We offer the best aspects of a conservatory (small class size, individual attention, and creative opportunity) along with experiences only a university can offer (double majors, extensive student organizations, and uniquely CMU traditions). Contact: W. Colby Carson, 5000 Forbes Ave., 412-268-4118, fax 412.268.1431, [email protected] Dead­line: 12/1. Under­grad. tuition: $52,244. Under­grad. degrees: 1,4,11,13. Grad­uate tui­tion: $38,750. De­grees: 1,2,4,11,13. 163 music ma­jors, 136 grad. students, 95 faculty, 6,574 undergrad. enroll.. 2 band, 1 jazz band, 2 orch., 3 chor. The Curtis Institute of Music (Phil­adelphia) educates and trains exceptionally gifted young musicians to engage a local and global community through the highest level of artistry. It provides full-tuition scholarships to all of its students, ensuring that admissions are based solely on artistic promise. Contact: Chris Hodges, 1726 Locust St., 215-893-5252, [email protected] Deadline: 2/5. Degrees: 1,4,6. 175 music majors, 112 faculty. 1 orch. Duquesne University, Mary Pappert School of Music (Pittsburgh). Whether interested in performance, technology, education, or therapy, our students are challenged to blend traditional approaches to music with current technology and focus on both theory and performance. Exciting ensemble and performance opportunities, a world-class faculty and our unbeatable location combine to set our graduates on successful careers in music. Contact: Katherine Shields, 600 Forbes Ave., 412-396-5983, [email protected] Dead­line: rolling. Undergrad. tuition: $38,178. Undergrad. degrees: 1,2,4,7-9,13. Grad. tuition: $1,600/cr.. Degrees: 1,7,9. 275 music majors, 60 grad. students, 90 faculty, 9,500 total enroll. 2 bands, 2 jazz bands, 1 orch., 4 chor. Elizabethtown College (Elizabethtown) offers a lively environment with high academic standards and numerous performance opportunities. Bachelor of Music degrees in music education and music therapy lead to certification in those fields, while Bachelor of Arts in music provides an excellent foundation for a variety of careers. Contact: Matthew Fritz, One Alpha Drive, 717-361-1212, [email protected] Deadline: roll­ing. Tuition: $555/cr. Degrees: 1,2,8. 70 music majors, 36 faculty, 1,750 total enrollment. 1 band, 1 jazz band, 1 orch., 3 chor. Gettysburg College Sunderman Con­serv­a­tory of Music (Gettysburg). SCM unites the artistic standards of excellent comprehensive undergraduate musical training with the intellectual breadth afforded by one of the nation’s leading liberal arts colleges. Students collaborate with a distinguished faculty of performers, educators, and scholars and go on to fulfilling careers in music and other fields. Contact: Mary Smith, 300 North Wash­ington St., Campus Box 416, 800-431-0803, [email protected] Deadlines: 11/15, 1/15. Tui­tion: $54,480. Degrees: 1,2, BA in Music. 68 music majors, 35 faculty, 2,650 total enrollment. 3 bands, 2 jazz bands, 1 orch., 4 chor. Grove City College (Grove City). At Grove City College, we believe in higher education for a higher purpose. That’s why everything we do is founded on three essential pillars: A rich academic tradition, an amazing value, and a Christ-centered community. Contact: Jeffrey Tedford, 100 Campus Drive, 724-450-1557, [email protected] Deadline: 2/1. Tuition: $17,930. Degrees: 1,2,7,11,12. 60 music majors, 35 faculty, 2,500 total enrollment. 4 bands, 2 jazz bands, 2 orch., 5 chor. Immaculata University (Immaculata) is a Catholic Liberal Arts university offering undergraduate programs in Music Education, Music Therapy and a liberal arts degree with performance emphasis. There is also a masters degree program in Music Therapy. Degree programs are fully accredited by NASM and our music therapy programs are approved by AMTA. Contact: Jerry Wargo, 1145 King Rd., 610-647-4400, [email protected] Deadline: 7/1. Under­graduate tuition: $26,500. Under­grad. degrees: 1,2, Music Therapy. Grad. degree: Master of Arts. 70 music majors, 30 graduate students, 34 faculty, 3,500 total enrollment. 7 bands, 1 jazz bands, 1 orch., 3 chor. Indiana University of Pennsylvania (Indiana). The mission of the IUP Music Department is the professional preparation of music students as teachers, performers, composers, and scholars. We are committed to providing the highest level of creative, intellectual, and cultural experiences through curricular offerings, recitals, concerts, productions, and workshops for both the student body and the community. Contact: Stephanie Caulder, 1011 South Drive, 724-357-2390, [email protected] Deadline: rolling. Tuition: $12,249 res., $17,668 non-res. Degrees: 1,2, general music. Graduate deadline: rolling. Graduate tuition: $500/cr. Graduate degrees: 1,2. 180 music majors, 32 grad students, 28 faculty, 12,125 total enrollment. 3 bands, 2 jazz bands, 1 orch., 4 chor. Lebanon Valley College (Annville). Lebanon Valley College is a liberal arts college. Since the founding of the college, music has been an integral part of a student-centered curriculum. With sophisticated and responsive instruction, students are presented with many performance opportunities and degree options which lead to high success levels in a variety of careers. Contact: Renee Norris, 101 N. College Ave, 717-867-6275, [email protected] Un­der­grad. degrees: 2,11,13, BA in music. Graduate Degrees: 2. 250 music majors, 17 faculty. 3 bands, 2 jazz bands, 2 orch., 32 chor. The Messiah College Department of Music is housed in the School of the Arts and is home to 120 undergraduate music majors pursuing a variety of majors and 100 graduate students enrolled in a Master’s of Music in Conducting program. A professionally active faculty oversees a rigorous curriculum that includes varied performance opportunities in nationally recognized ensembles. Contact: Molly Janczyk, One College Avenue Suite 3005, 800-233-4220, [email protected] Under­graduate deadline: rolling. Undergraduate tuition $34,320. Degrees: 1,2,4,7, music business and commercial music. Graduate dead­line: rolling with three entry points each year. Graduate tuition: $660/hour. Graduate de­gree: 6. 113 music majors, 100 graduate students, 43 faculty. 2 bands, 4 jazz bands, 2 orch., 6 chor. Moravian College (Bethlehem). Music majors are offered excellent, comprehensive, and personalized degree programs in music integrated with liberal arts studies. Post baccalaureate Teacher Certification in Music Education also offered. 610-861-1320, [email protected] Deadline: 3/1. De­grees: 1,2,4,7. 70 music majors, 60 music faculty, 1,800 total enroll. 2 bands, 1 jazz band, 1 orch., 2 chor. Pennsylvania State University (University Park). Founded in 1855, Penn State is the Commonwealth’s only land-grant institution and a member of the Big Ten Conference. The University Park campus offers outstanding programs with one of the largest full-time resident music faculty in the region. A wealth of opportunities plus individualized attention. 201 Shields Building, 814-865-5471. Degrees: 1-3,13, integrated undergraduate-graduate. Graduate deadline: varies. Graduate tuition: $22,578 res., $38,012 non-res. Degrees: 1-6, voice and piano pedagogy. 325 music majors, 70 faculty, 46,660 total enrollment. 6 bands, 3 jazz bands, 2 orch., 5 chor. Seton Hill University (Greensburg). New Performing Arts Center. NASM Ac­cred­ited. Full range of instrumental and vocal ensembles. BM in Music Education, Music Therapy, Performance, Sacred Music, BA in Music. BM in Commercial Music to start in the Fall of 2019. Contact: Allison Sasso, 1 Seton Hill Drive, 1-800-626-6234, [email protected] Deadline: rolling. Tuition: $26,000. Degrees: 1,2,7,8, com­mercial music. 70 music major, 21 faculty, 2,400 total enrollment. 3 bands, 3 jazz bands, 1 orch., 3 chor. Slippery Rock University (Slippery Rock). The Slippery Rock University Department of Music is committed to providing learning experiences to meet the current and future needs of today’s student. The department provides an environment for serious study and musical performance as students prepare for successful careers in music education, music therapy, and performance. Contact: Undergrad. Admis­sions, 1 Morrow Way, 800-929-4778, fax: 724.738.2913, [email protected] Un­der­grad. deadline: rolling. Under­grad. tuition: $5,268.35/sem. res., $7,322.35/sem. with 3.0 for non-res. Under­grad. degrees: 1,2,8,BA in Music. Grad. deadline: rolling. Grad. tuition: $689.61/cr. res., $998.31/cr. non-res. Grad. degrees: 8. 120 music majors, 20 grad. students, 25 faculty, 8,900 total enroll. 4 bands, 2 jazz bands, 1 orch., 3 chor. Susquehanna University (Selinsgrove). Music has been at the heart of Susquehanna since the university was founded more than 150 years ago. With a combination of conservatory-level training and a solid foundation in the liberal arts and sciences, we make multiple paths in music possible. Susquehanna provides small-school advantages as well as big-school opportunities! Contact: Sara Adams, 514 University Ave., 570-372-4309, [email protected] Dead­line: 2/1. Tuition: $44,890. Degrees: 1,2,4, BA in Music. 100 music majors, 30 faculty, 2,200 total enrollment. 3 bands, 1 jazz band, 1 orch., 3 chor. Temple University Boyer College of Music and Dance (Philadelphia). Boyer is dedicated to helping its students achieve instrumental mastery and the comprehensive education necessary to become well-rounded professional musicians. All students receive lessons per week from faculty, many from of The Philadelphia Orchestra. A high level of participation in ensembles provides performance experience and broad knowledge of the literature. Contact: Matthew Schillizzi, 2001 N. 13th Street, 215-204-6810, [email protected] Undergraduate deadline: 2/1. Under­graduate tuition: $19,082 res., $30,960 non-res. Under­grad. degrees: 1-5,8,9,11-13. Graduate deadline: 3/1. Tuition: $9,162 res., $12,150 non-res. Degrees: 1-6,8,9,12. 500 music majors, 300 graduate students, 180 faculty, 30,000 total enrollment. 6 bands, 8 jazz bands, 5 orch., 9 chor. West Chester University of Pennsylvania (West Chester). Explore a career in music at the School of Music at West Chester University, an All-Steinway School, accredited with the National Association of Schools of Music. Bachelors of Music are available in Music Performance, Music Education, Music Theory & Composition, and Elective Studies. Contact: Gabrielle Buzgo, 2 East Rosedale Ave., 610-436-3042, [email protected] Under­­grad­uate dead­line: roll­ing. Under­­grad­uate tui­tion: $5,205.88 res., $11,117.88 non-res. Under­­grad­uate de­grees: 1-4,8,9, elective studies. Grad­uate dead­line: roll­ing. Grad­uate tui­tion: $6,165.25 res., $8,595.25 non-res. Grad­uate de­grees: 1-6. 453 music majors, 93 graduate students, 52 faculty, 16,611 undergraduate enrollment. The School of Music at Westminster College remains a significant force in the training of future music educators (98% placement) and music performers (100% placement). The band program continues to win accolades for superior performances. In addition, programs relating to music business and pre-music therapy are currently being added. Contact: Thomas Stein, 319 South Market Street, 724-946-7279, fax: 724.946.6270, email [email protected] Dead­­line: 2/1. Tuition: $32,520. Degrees: 1,2,11. 70 music majors, 28 music faculty, 1,400 total enrollment. 3 bands, 1 jazz band, 1 orch., 4 chor. Charleston Southern University, Horton School of Music (Charleston). Founded in 1964, Charleston Southern is located near historic Charleston, home of major fine arts events including Spoleto Festival USA. Charleston Southern is one South Carolina’s largest accredited, independent universities. The University’s vision is to be a Christian University nationally recognized for integrating faith in learning, leading and serving. Contact: Matthew Swingle, 9200 University Blvd., 843-863-7364, [email protected] Deadline 8/1. Undergraduate tuition: $26,000. Degrees: 1,2,7-10. 110 music majors, 32 faculty, 3,600 total enrollment. 4 bands, 2 jazz bands, 1 orch., 3 chor. Furman University (Greenville) is a private liberal arts university founded in 1826 and nationally acclaimed for its music programs, academic excellence, engaged learning program, sustainability program, Division I athletics, and campus beauty. Students: 2,700 undergraduates from 47 states, 46 countries. Stu­dent/faculty ratio 12:1. 32 music ensembles; 250-280 yearly recitals/concerts. Non-majors welcome. Con­tact: Coady Shovlain, 3300 Poinsett Hwy., 864-294-2034, [email protected] Deadline: varies; ED, EA, RD. Tuition: $49,152. Deg: 1-4,7, BA in Music. 250 music majors, 51 faculty, 2,700 enroll. 4 bands, 2 jazz bands, 1 orch, 4 chor. Limestone College (Gaffney). Our goal is to provide an environment where creativity is nurtured, and to offer the highest quality arts education. The majors offered include Studio Art, Graphic Design, Creative Writing and English Education, Music and Music Education, Theatre and Musical Theatre. Limestone College awards a number of Fine Arts scholarships. Contact: Chris Phenicie, 1115 College Drive, 800-795-7151, [email protected] Deadline: open. Tuition: $12,450. Degrees: 2. 40 music majors, 5 faculty, 1,110 total enrollment. 2 bands, 1 jazz band, 2 chor. University of South Carolina (Colum­bia). The USC School of Music offers more than 20 degree programs, including music education, performance, jazz composition, theory, history and conducting. Three new concentrations under the Bachelor of Music in Performance are offered: Entrepreneurship, Music Technology or Chamber Music. Reduced tuition rate available for out-of-state students receiving music/academic scholarships. Contact: Jennifer Jablonski, 813 Assembly St., 803-777-6614, [email protected] Undergraduate deadline: 12/1. Undergraduate tuition: $12,262 res., $32,362 non-res. Undergraduate degrees: 1-4,9 BM-Performance concentrations: Entrepreneurship, Music Technology, Chamber Music. Graduate deadline: rolling. Graduate tuition: $568.75/cr. res., $1,216.50/cr. non-res. Graduate degrees: 1-6,9. 320 music majors, 180 graduate students, 52 faculty, 25,556 total enrollment. 8 bands, 5 jazz bands, 2 orch., 6 chor. Winthrop University (Rock Hill) has been identified in the US News and World Report as a top 10 Southern regional university for 20 consecutive years. Out-of-state students receiving a scholarship pay in-state fees. Contact: Donald Rogers, 129 Conservatory of Music, 803-323-2255, [email protected] Under­graduate deadline: 5/1. Undergraduate tuition: $15,230 res., $29,486 non-res. Undergraduate degrees: 1,2,4, Liberal Arts, Music Technology. Graduate deadline: 5/1. Graduate tuition: $15,240 res., $29,328 non-res. Graduate degrees: 1,2,6,10. 180 music majors, 12 graduate students, 40 faculty, 6,500 total enrollment. 3 bands, 2 jazz bands, 1 orch., 4 chor. Northern State University (Aberdeen). The NSU Department of Music offers the BME and BA undergraduate degrees in music at the Aberdeen Main Campus. The highly qualified faculty is dedicated to student success. The facilities are outstanding and include the newly remodeled 1,000 seat Johnson Fine Arts Center main theatre and new Black Box Theater as well as state-of-the-art practice rooms. Additionally, NSU opened the first of three new suite-style dorms. NSU is a fully accredited institutional member of NASM. Undergraduate contact: Tracy Jurgens, 1200 South Jay St., 605-626-2257, fax: 605.626.2263, [email protected] Tuition: $15,958 SD/ND/IA res., $16,843MN non-res., $18,931 other non-res. Degree: 2. Graduate contact: Tammy Griffith, 605-626-2558, [email protected] Tuition: $319.40 res., $596.30 non-res. Degrees: 2. 119 music majors, 17 faculty, 3,500 total enroll. 3 bands, 3 jazz bands, 1 orch., 3 chor. Lee University School of Music (Cleve­land) is a Christ-centered university in southeast Tennessee with faculty, curriculum, facilities, and opportunities to prepare you as tomorrow’s musician. 1120 N. Ocoee St., 423-614-8240, [email protected] Undergraduate deadline: rolling. Tuition: $25,090. Degrees: 1,2,7,11. Graduate deadline: rolling. Tuition: $454/cr.. Degrees: 1,2,6,7. 305 music majors, 60 faculty, undergraduate enrollment 5,041. 3 bands, 2 jazz band, 1 orch., 8 chor. Middle Tennessee State University (Murfreesboro). Located minutes from Nashville, MTSU’s School of Music houses an acclaimed faculty of more than 65 artists/educators who perform, compose, teach, and present their works internationally. Our low faculty-to-student ratio enables personalized instruction and interaction. Focused on the future, we invest deeply in each student to help ensure professional success. Con­tact: Christopher Dye, 1301 E. Main Street, 615-494-8714, fax 615.898.5037, [email protected] Deadline: 2/1. Tuition: $293/cr. res., $1,053/cr. non-res. De­grees: 1-4,9,11, audio technology, music business and commercial songwriting offered through Recording Industry department. Grad. deadline: 7/1. Tuition: $472/cr. res., $1,306 non-res. Degrees: 1,2,4-6,9. 247 music majors, 35 grad students, 65 faculty. 5 bands, 2 jazz bands, 3 orch., 5 chor. Tennessee Tech University (Cookeville). TTU School of Music (Cookeville), offers the Bachelor of Music degree in Music Education and Performance. As part of the College of Fine Arts, the School of Music provides the highest level of artistic education, enabling students to reach their full potential as performers, teachers, and citizens. Contact: Wendy Mullen, TTU Admissions Office P.O. Box 5006, 931-372-3167, [email protected] Under­graduate deadline: 12/15. Under­grad­uate tuition: $9,233.50 res., $17,165.50 non-res. Under­graduate de­grees: 1,2,4,9. 170 music majors, 29 faculty, 10,500 total enrollment. 4 bands, 2 jazz bands, 2 orch., 2 chor. University of Memphis, Rudi E. Scheidt School of Music (Memphis). Our renowned program offers bachelor’s through doctoral degrees in 29 areas of concentration, with the distinction of being Tennessee’s only doctoral degree granting program in music. In a city as live-music-rich as Memphis, the school is proud to present more performances than any other music organization in the Mid-South. Con­tact: 123 Music Building, 901-678-2541, [email protected] Degrees: 1-6,9. 41 faculty. 3 bands, 2 jazz bands, 1 orch., 2 chor. Our tight-knit community provides a nurturing environment in which to explore your full potential. World-class instructors give you the personal attention you need to refine your musical skills. Energetic ensembles provide dynamic performance opportunities. Our academic programs will put you on the right path to achieving your goals. Contact: Lori Brown, 1741 Volunteer Blvd., 865-974-6134, [email protected] Undergraduate deadline: 12/15. Undergraduate tuition: $13,006 res., $31,426 non-res. Undergraduate degrees: 1-5,9. Graduate deadline: 11/1. Graduate tuition: $13,120 res., $31,538 non-res. Graduate degrees: 1-6,9. 290 music majors, 60 graduate students, 56 faculty, 22,000 total enrollment. 9 bands, 2 jazz bands, 2 orch., 5 chor. Vanderbilt University, Blair School of Music (Nashville). Blair is an all-undergraduate professional music school within a top 15 university, where all students experience conservatory-level training with an exceptional liberal arts core in downtown Nashville, Tennessee. Our faculty is dedicated to teaching and mentoring students with continuing involvement in performance, composition, and/or research. 2400 Blakemore Ave., 615-322-6181, [email protected] Degrees: 1,2,4, liberal arts, engineering, and education. 210 music majors, 130 faculty, 6,800 total enrollment. 1 band, 1 jazz band, 1 orch., 2 chor. Baylor University (Waco). Baylor is a private Baptist university and nationally ranked liberal arts institution. Chartered in 1845 by the Republic of Texas, Baylor is the oldest continually operating university in the state. Though 80% of our students come from Texas, we are home to students from all 50 states and 80 countries. Contact: Mary Sage, One Bear Pl. #97408, 254-710-7681, [email protected] Under­grad­uate tuition: $41,194. Under­graduate de­grees: 1-7,9, piano pedagogy. Graduate tuition: $1,716. Graduate degrees: 1-7,9, piano pedagogy. 293 music majors, 81 graduate students, 67 faculty, 14,348 total enrollment. 5 bands, 2 jazz bands, 2 orch., 7 chor. Hardin-Simmons University (Abilene). The School of Music at Hardin-Simmons University is one of the oldest accredited programs in the state of Texas. Students receive a well-rounded and personalized education in a liberal arts environment. A nationally recognized faculty offers a challenging curriculum for students in all performance disciplines. Contact: Kelsey Davis, 2200 Hickory Street, HSU Box 16050, 325-670-1000, [email protected] Under­graduate tuition: $27,290. Undergraduate degrees: 1-4,6,7,12. Graduate tuition: $780/cr. Graduate degrees: 1-3. 85 music majors, 4 graduate students, 11 faculty. 2 bands, 1 jazz band, 2 chor. Midwestern State University (Wichita Falls). The Department of Music at Midwestern State is an intensive undergraduate program situated in an academically rigorous public liberal arts college where you will learn at the hands of master teachers in small classes. A private school feel with a public school price. Contact: Susan Harvey, 3410 Taft Blvd., 940-397-4502, [email protected] Deadline: rolling. Tuition: $8,500 res., $10,450 non-res. Degrees: 1,2; BA in music. 85 music majors, 12 faculty, 6,064 total enroll. 3 bands, 1 jazz band, 1 orch., 2 chor. Rice University, Shepherd School of Music (Houston). The Shepard School of Music offers preprofessional training for musicians, combining the intensity of a conservatory experience with the educational excellence of a renowned private university. Our illustrious faculty of artist-teachers dedicate themselves to the special talents and skills of each individual student. Contact: Geoffrey Scott, 6100 Main Street, 713-348-4854, [email protected] Under­grad­uate deadline: 12/1. Under­graduate tuition: $46,600. Undergraduate degrees: 1,3-5. Graduate deadline: 12/1. Graduate tuition: $28,280. Graduate degrees: 1,4-6. 97 music majors, 177 graduate students, 68 faculty, 6,800 total enrollment. 2 orch., 1 chor. University of North Texas, College of Music (Denton). The UNT College of Music is one of the world’s largest and most respected comprehensive music schools. Our faculty includes internationally acclaimed artists and scholars in performance, composition, conducting, theory, history, and education. Contact: Joel Wiley, 1155 Union Circle, #311367, 940-565-3860, fax 940.369.5932, [email protected] Dead-­line: 12/3. Tuition: $23,948 res., $33,908 non-res. Degrees: 1-5,9. Grad. deadline: 12/3. Tuition: $7,165 (average). Degrees: 1-6,9, ethnomusicology. 935 music majors, 637 grad. students, 146 faculty, 30,503 total enroll. 7 bands, 15 jazz bands, 3 orch., 6 chor. University of Texas, Sarah and Ernest Butler School of Music (Austin). Located in one of our nation’s most musical cities, the Sarah and Ernest Butler School of Music at The University of Texas at Austin offers comprehensive undergraduate and graduate programs designed to prepare artists, thinkers, makers and teachers ready and able to make profound contributions to the future of music. 2406 Robert Dedman Dr. Stop E3100, 512-471-0504, [email protected]­utexas.edu. Under­grad­uate deadline: 12/1. Undergrad. tu­ition: $10,832 res., $38,372 non-res. Undergrad. degrees: 1,2,4,9, BA in Music. Grad. deadline: 12/1. Grad. tuition: $10,162 res., $18,836 non-res. Grad. degrees: 1-7,9, Chamber Music, Collaborative Piano, Ethnomusicology, Literature & Pedagogy, Opera Coaching, Opera Directing. 320 music majors, 95 faculty, 290 graduate students, 40,168 total enrollment. 6 bands, 3 jazz bands, 2 orch., 3 chor. The University of Vermont (Burlington). As a department within an Arts and Science College, the focus of the Department of Music & Dance at The University of Vermont is music within a liberal arts setting. In addition, our Music Education program combines the best of this focus with our outstanding College of Education curriculum. Contact: Paul Besaw, Department of Music & Dance, 392 So. Prospect St., 802-656-3040, fax: 802.656.0759, [email protected] Deadline: 1/15. Tuition: $15,936 res., $40,176 non-res. Degrees: 1-3,5,9,13. 103 music majors, 34 faculty, 11,000 total undergraduate enrollment. 3 bands, 6 jazz bands, 1 orch., 2 chor, 1 jazz chor. George Mason University (Fairfax). The George Mason University School of Music is an inclusive community – students and faculty, performers and scholars, administrators and staff – whose common goal is to inspire artistic and academic excellence as an intrinsic element of a balanced education within an atmosphere of discipline, lifelong learning, and service. Contact: Sean Brazel, 4400 Uni­versity Drive, 703-993-1390, [email protected] Deadline: 11/1 (scholarship), 1/15. Tuition: $10,888 res., $31,448 non-res. Degrees: 1,2,4,9, BA in Music, BA in Music Technology. Grad. deadline: 11/1 (spring), 3/1 (fall). Tuition $9,934 res., $23,466 non-res. Degrees: 1,2,4,6,9,10. 376 music majors, 85 grad. students, 92 faculty. 30,000 total enrollment. 3 bands, 2 jazz bands, 1 orch., 3 chor. Longwood University (Farmville). Contact: Charles Kinzer, Department of Music, 434-395-2504, [email protected] Tuition: $424/cr. res., $922/cr. non-res. Degrees: 1,2,12,piano pedagogy. 75 music majors, 16 faculty, 4,600 total enrollment. 1 band, 1 jazz band, 3 chor. Old Dominion University (Norfolk). The Old Dominion University Department of Music prepares a diverse and talented student body to enter the professional world as outstanding leaders in varied musical roles. As an urban center for musical resources, we connect students to the greater community through performances, workshops, prac­ticum, and collaboration with schools and organizations. Contact: Susan Vosler, 1339 W. 49th St., 757-683-4061, [email protected]. Deadline: rolling. Tuition: $352/cr. hr. res., $982/cr. hr. non-res. Degrees: 1-5,9,13. Graduate deadline: 6/1 fall, 11/1 spring. Graduate tuition: $523/cr. hr. res., $1,320/cr. hr. non-res. Degrees: 2, with emphases in Pedagogy, Applied Studies/Conducting, and Research. 200 music majors, 20 graduate students, 50 faculty, 24,375 total enrollment. 3 bands, 2 jazz bands, 1 orch., 3 chor. Shenandoah University (Winchester). World-renowned Shenandoah Conserv-atory offers intense, specialized, professional training in music, theatre, and dance. Shenandoah Conserv-atory offers more than 60 degrees at the baccalaureate, master’s, artist diploma, and doctoral levels. 1460 University Drive, 540-665-4581, [email protected] Degrees: 1,4,6-8,10. 300 music majors, 2,200 total undergraduate enrollment. 2 bands, 1 jazz band, 1 chamber orch., 4 chamber chor. University of Puget Sound (Tacoma). The School of Music at University of Puget Sound is uniquely positioned to prepare students for professional careers in music and support non-majors interested in continuing their study. It is one of the few liberal arts colleges in the country with a conservatory-style School of Music. Contact: Megan Grady, 1500 N. Warner St., #1076, 253-879-2906, [email protected] Under­grad. deadline: 1/15. Under­graduate tuition: $49,510. Undergraduate degrees: 1,2,10. Grad. deadline: 2/15. Grad. tuition: $32,985. Grad. degrees: 2. 84 music majors, 4 grad. students, 36 faculty, 2,600 total enroll. 2 bands, 1 jazz band, 1 orch., 4 chor. Marshall University (Huntington). Housed in Smith Music Building and Jomie Jazz Center, our more than 40 faculty and staff offer degrees from performance to education to interdisciplinary studies. Students receive a world class education and performance opportunities in a small school setting. Contact: Adam Dalton, 1 John Marshall Drive, 304-696-3117, [email protected] Tuition: $4,046 res., $9,307 non-res. Degrees: 1-6, 9. 125 music majors, 20 grad. students, 40 faculty, 13,700 total enrollment. 3 bands, 2 jazz bands, 2 orch., 3 chor. Carthage College (Kenosha). Carthage, a four-year, private liberal arts college on the shore of Lake Michigan, combines an environment of reflection and self-discovery with a culture of high expectation so our students uncover and ignite their true potential. Students can audition for more than $300,000 in music scholarships. 2001 Alford Park Drive, 800-351-4058, [email protected] Deadline: rolling. Tuition: $43,550. De­grees: 1,2,4,12, Piano Pedagogy. 150 music majors, 40 faculty, 2,600 total enroll. 3 bands, 1 jazz band, 1 orch., 4 chor. As a world-class conservatory within a liberal arts university, Lawrence is uniquely positioned to deliver the holistic music education required for the 21st century. With a 9:1 student-faculty ratio and flagship double degree program, Lawrence is a community of 1,500 students on a residential campus adjacent to downtown Appleton, Wisconsin. Contact: Kate Bittner, 711 E. Boldt Way, 920-832-6993, [email protected] Tui­tion: $47,175. Degrees: 1,2,3,4,9. 350 music majors, 65 faculty, 1,500 total enrollment. 2 bands, 3 jazz bands, 1 orch., 3 chor. University of Wisconsin (Madison) is one of the top 10 public universities in the country, and the School of Music is ranked in the top 10% of comprehensive music programs. Undergraduate contact: Jared Jellison, 608-263-5986, [email protected] Grad­uate contact: James Doing, Jr., 608-263-3220, [email protected],edu. Undergraduate tuition: $487.48/cr. res., $645.17/cr. Minn. res., $1,581.22/cr. non-res. undergraduate degrees: 1,2,4. Graduate tuition: $796.10/cr. res., $1,192.13/cr. Minn. res., $1,629.03/cr. non-res. Grad. degrees: 1-6. 250 music majors, 150 grad. students, 50 faculty. 4 bands, 3 jazz bands, 2 orch., 7 chor. University of Wisconsin (Milwaukee). Artist-teacher professionals from around the world teach and maintain active careers nationally and internationally as solo artists with the Milwaukee, Chicago Symphony Orchestras, Ballets, the Florentine, Skylight, and Lyric Operas. 414-229-5162, fax 414.229.2776, [email protected] De­grees: 1-6,12, collaborative piano, piano pedagogy, string pedagogy. Graduate de­grees: 1,2,4-6, string pedagogy, piano pedagogy, music library science, chamber music performance, chamber music artist diploma. 400 music majors, 70 faculty, 28,000 undergraduate enrollment. 5 bands, 2 jazz bands, 2 orch., 4 chor. University of Wisconsin (Oshkosh). Where excellence and opportunity meet. We offer a high degree of individual attention with an outstanding, internationally recognized student-centered faculty, excellent facilities, and great performing opportunities. Study music in a comprehensive music program with innovative degrees in performance, music education, music recording, music business, and composition. Contact: Ashley Elmer, 800 Algoma Blvd., 920-424-4224, [email protected] Deadline: open. Tui­tion: $9,747 res., $13,534 non-res. Degrees: 1,2,4,11,13; BA Music, BS Music, Music Minor, Music Industry Minor. 160 music majors, 31 faculty, 13,000 total enrollment. 2 bands, 2 jazz bands, 1 orch., 4 chor. University of Wisconsin (Platteville). UW-Platteville offers undergraduate instruction to music majors and minors pursuing degrees in teaching and performance. We have outstanding applied faculty members and offer a wide range of ensembles. Contact: Bob Demaree, 151C Doudna Hall, 1 University Plaza, 608-342-1446, [email protected] 2 bands, 2 jazz bands, 1 orch., 5 chor.